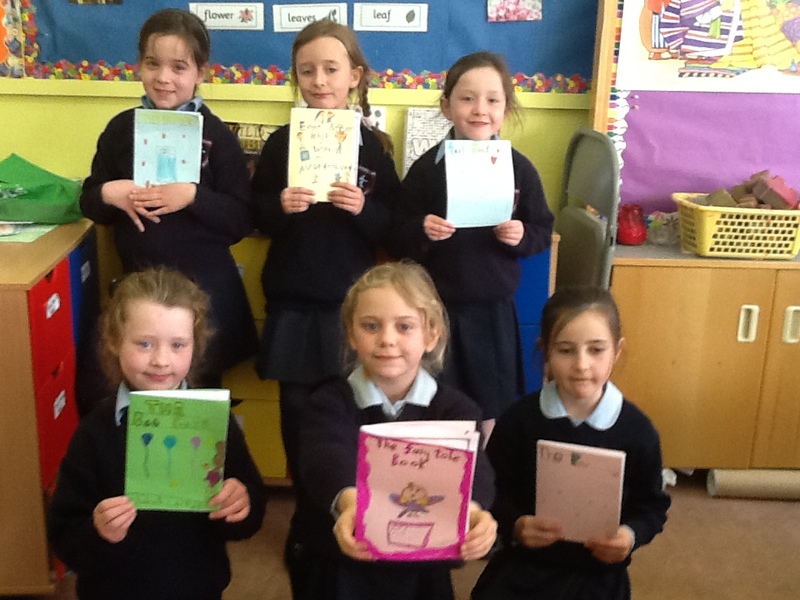 The girls in first class have been very busy this week. 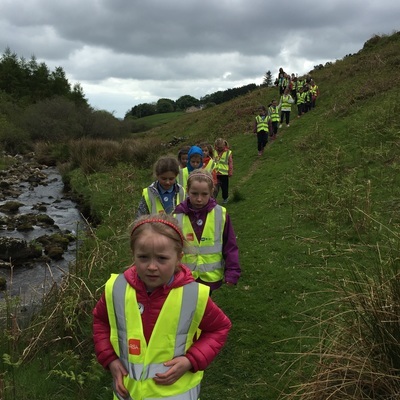 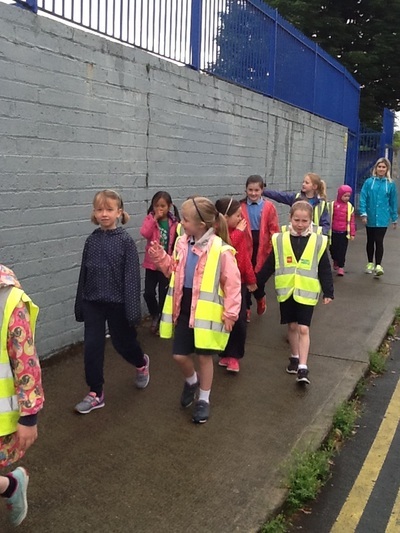 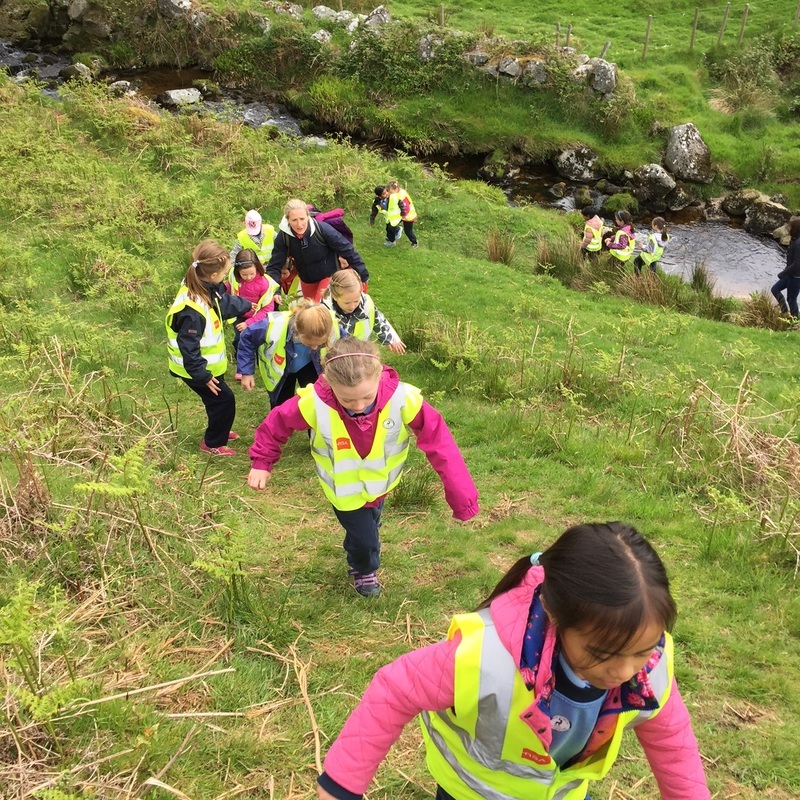 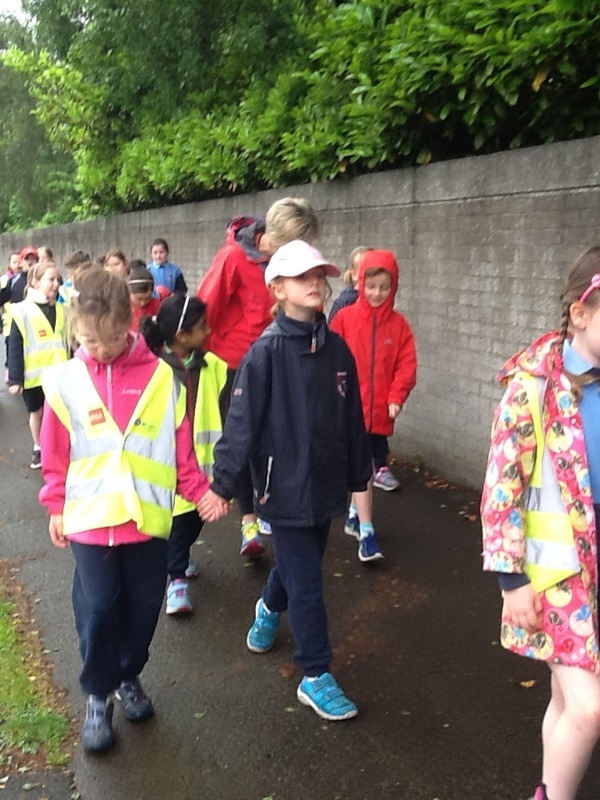 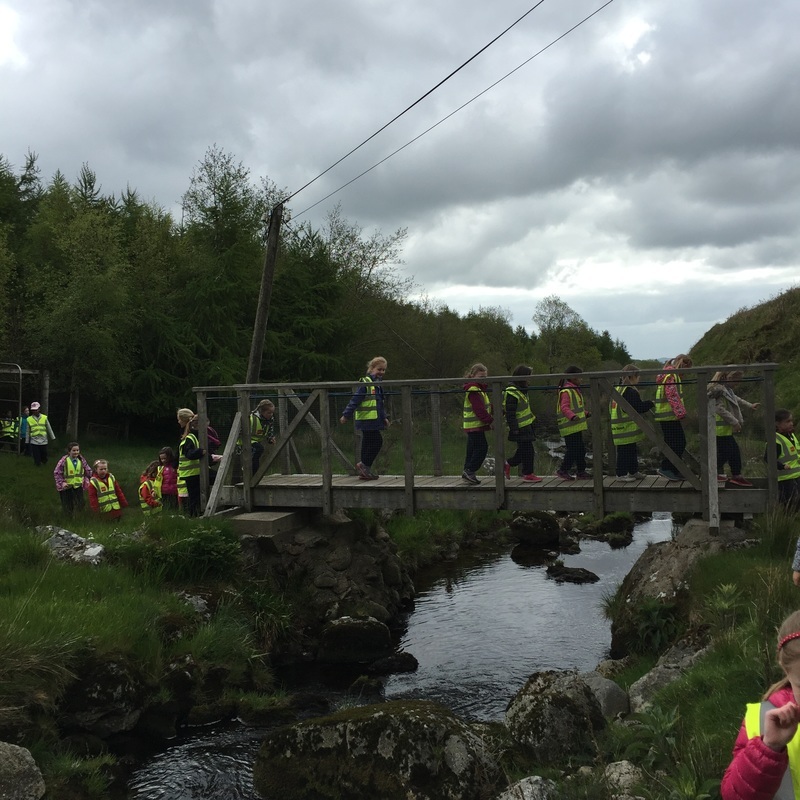 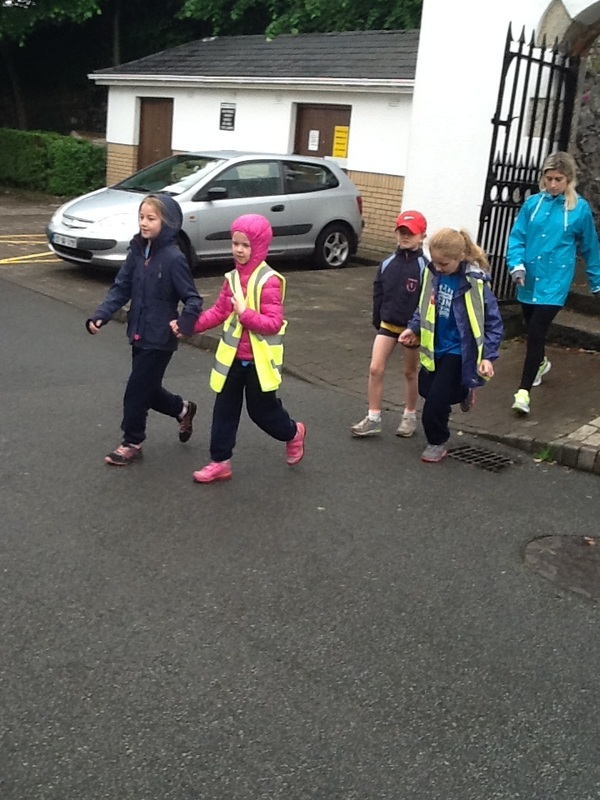 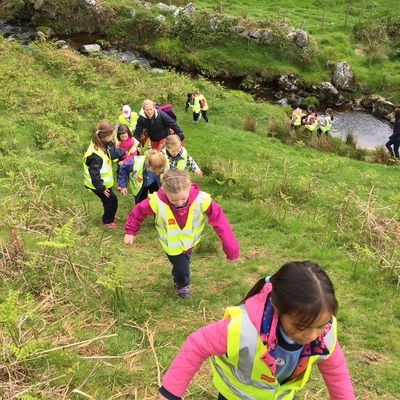 On Monday we had a lovely walk. We were very lucky as the rain had stopped. 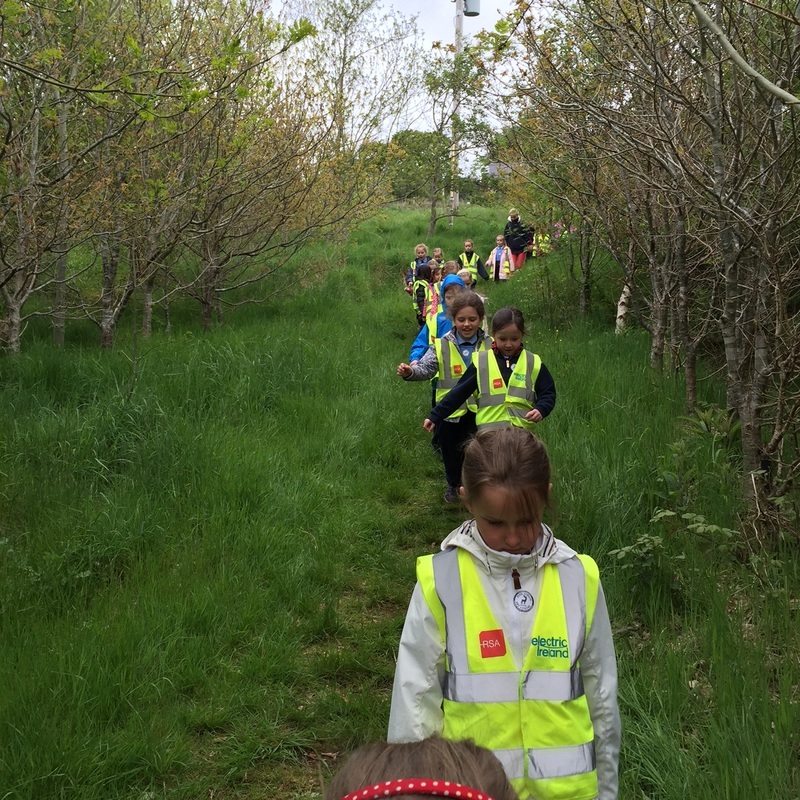 The girls really enjoys the walk and we saw some lovely trees along the way. 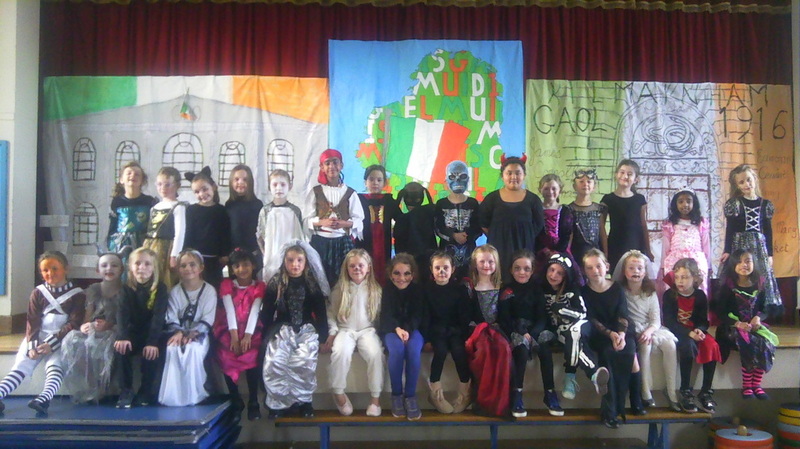 Thanks to all the parents we came along to help. 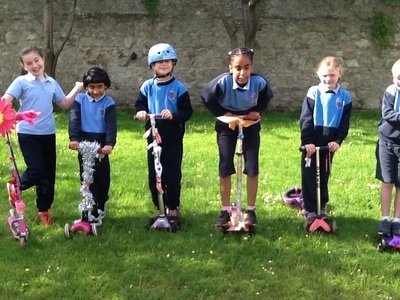 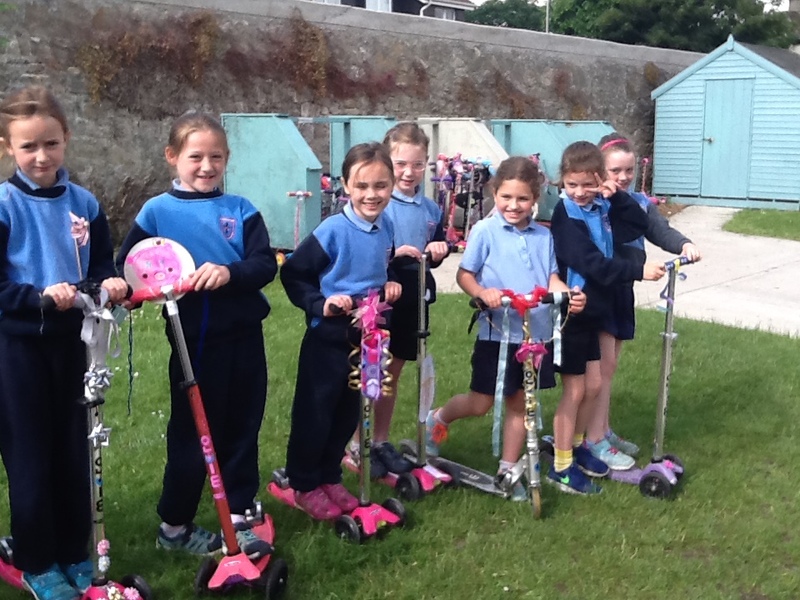 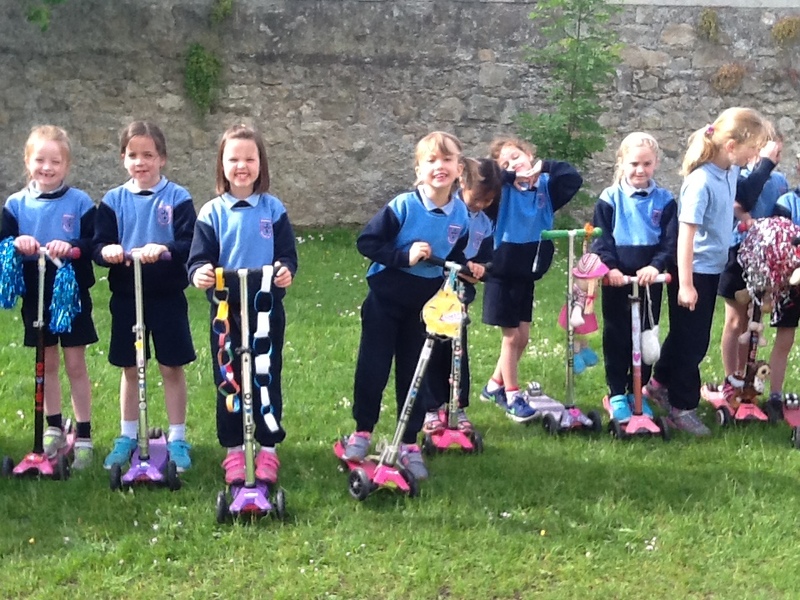 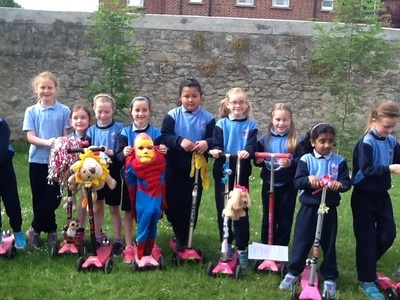 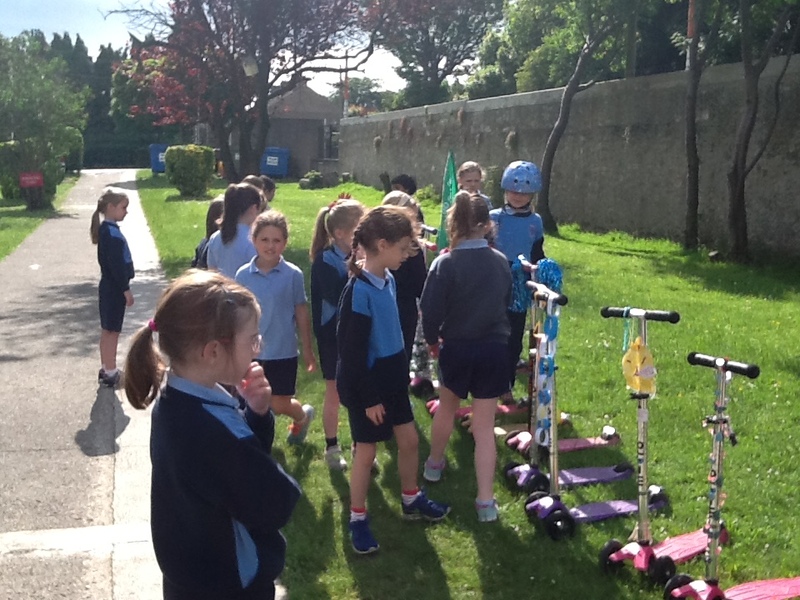 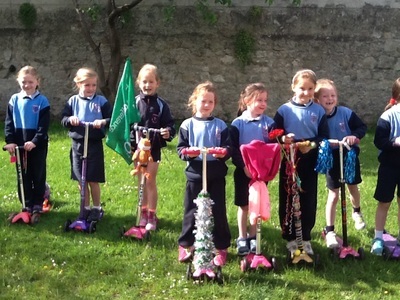 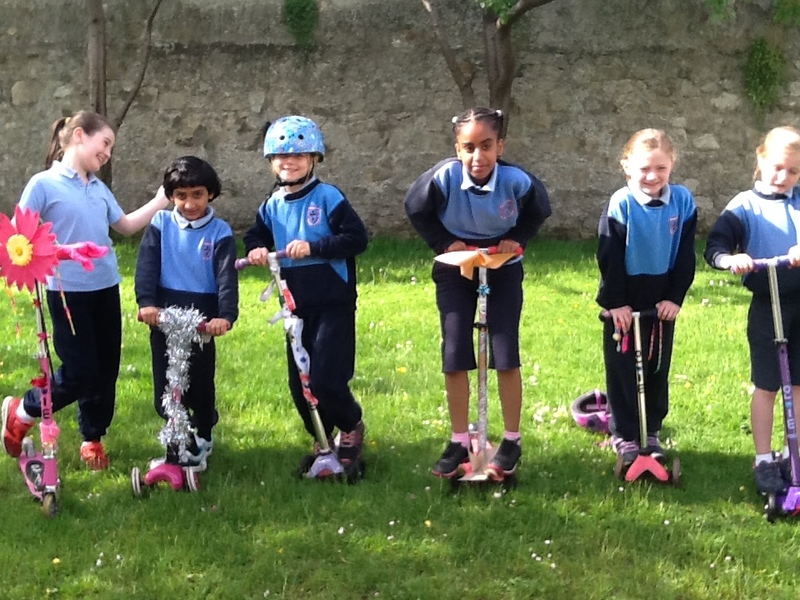 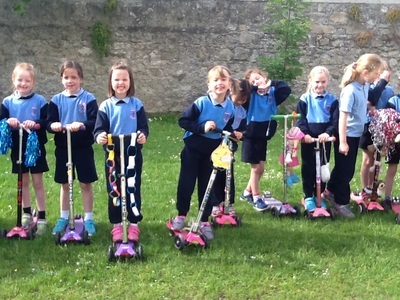 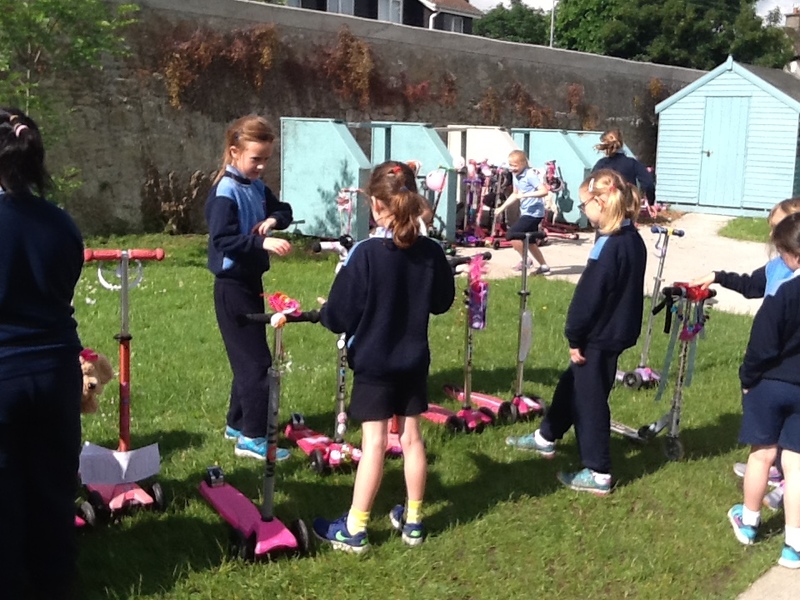 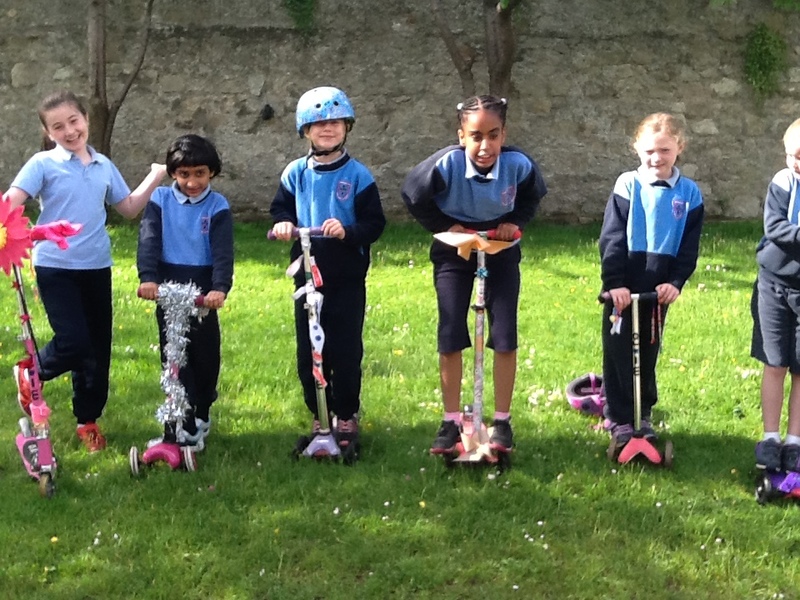 On Wednesday the girls decorated their scooters. The girls did a really good job at this. 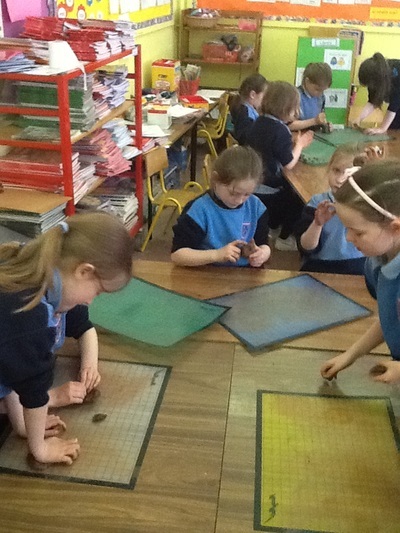 A lot of thought and attention went into the designs. 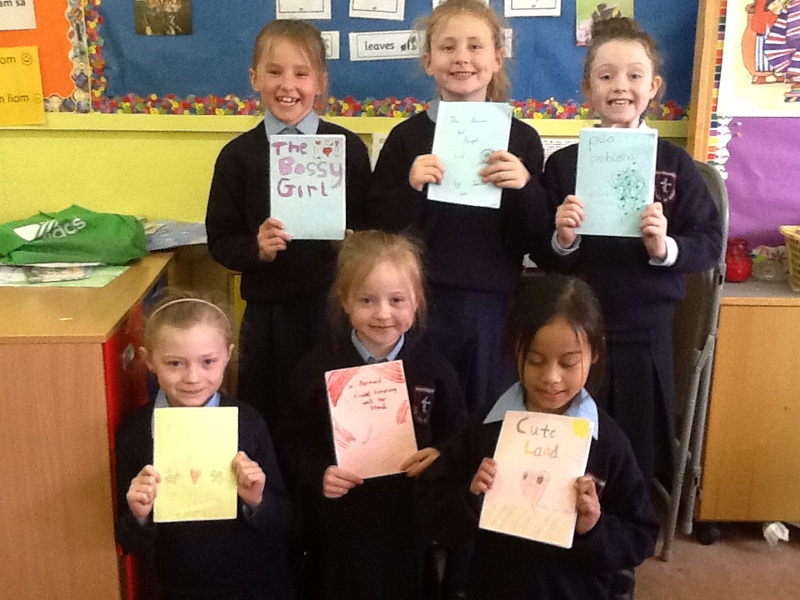 Well done to all the girls. 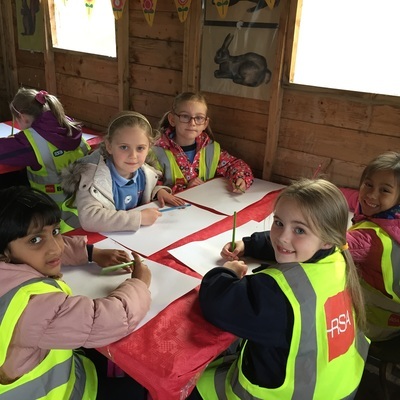 First class had a great trip to Pine Forest. The girls went on a lovely nature walk. 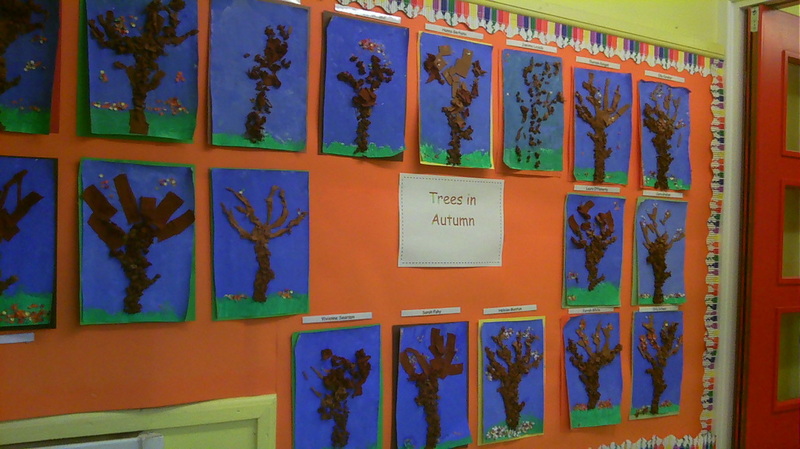 We saw lots of lovely trees and flowers. 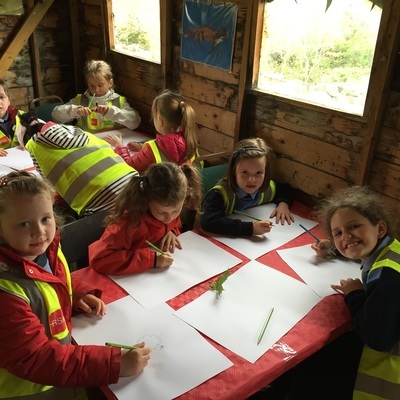 They then did lots of art activities. 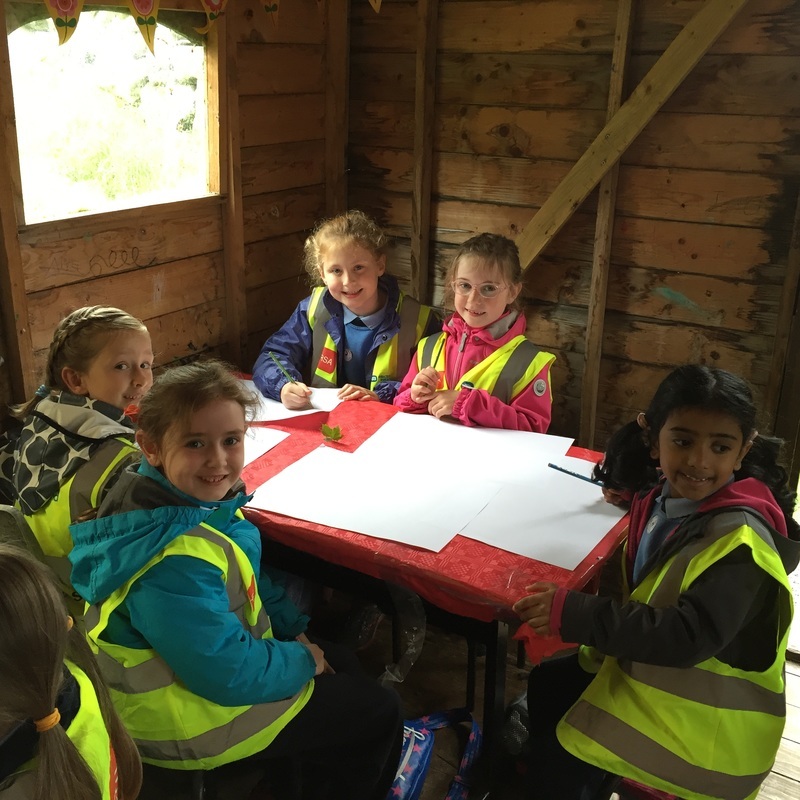 The girls all had a great day. 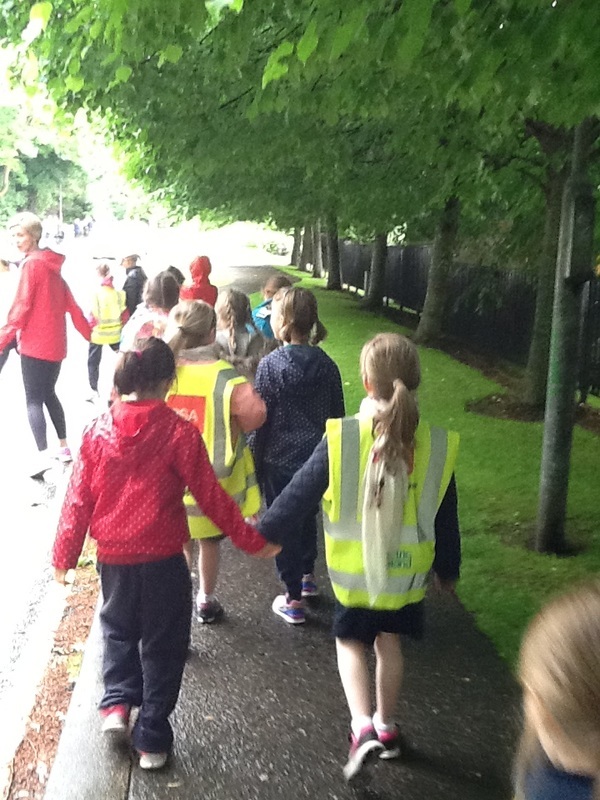 Thanks to the parents who helped us on the day. 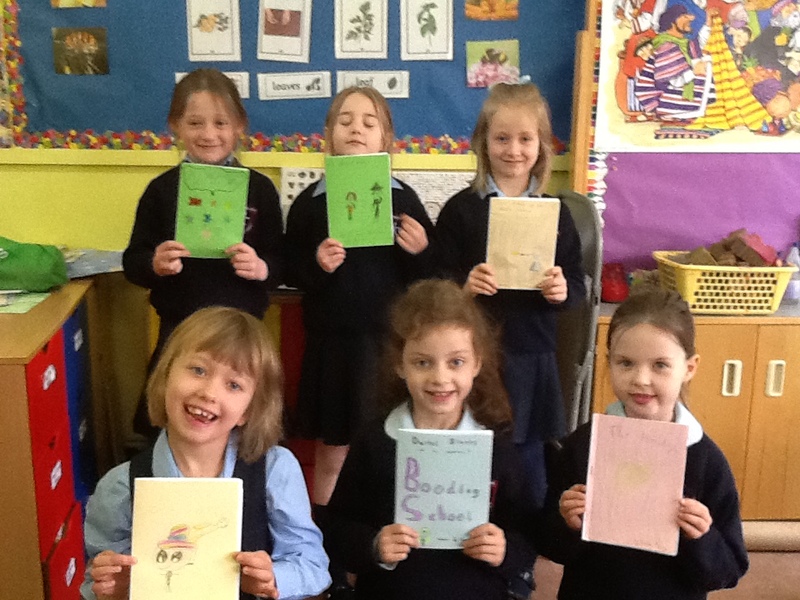 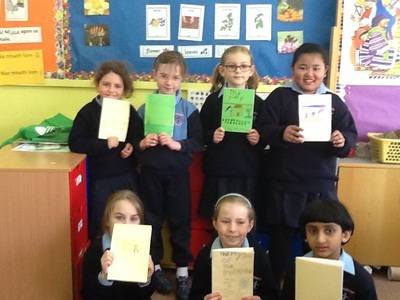 The girls in First class wrote their own books for Book Week 2016. 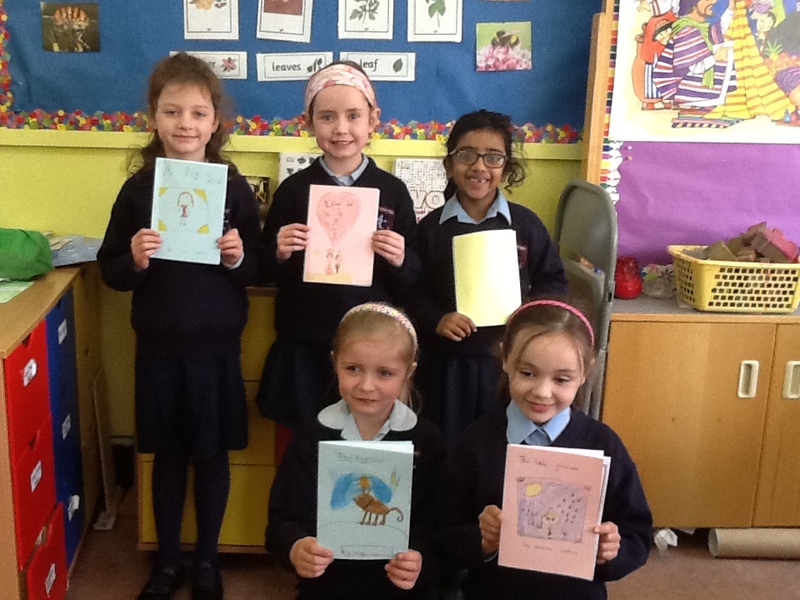 The girls created some wonderful stories. 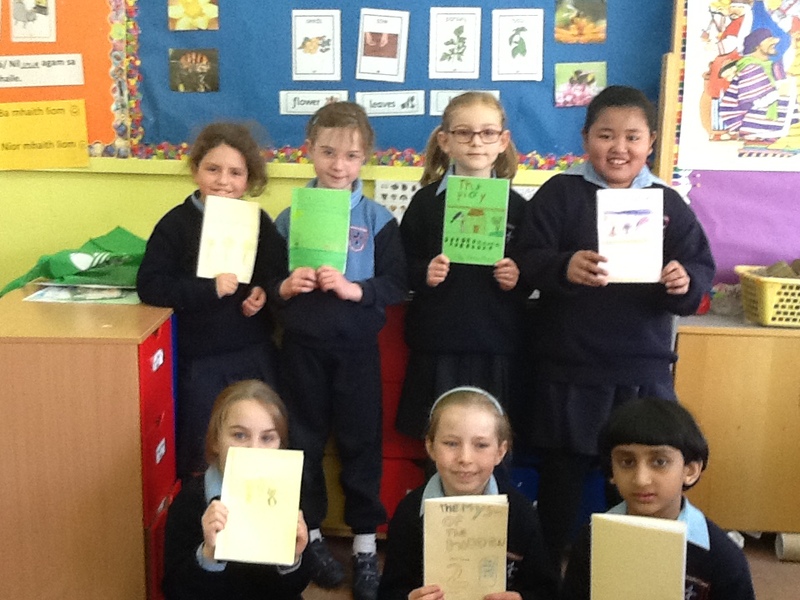 They all put a lot of effort into creating their book, including drawing some lovely pictures and writing very neatly. Well done to all of the girls for creating such fantastic books. 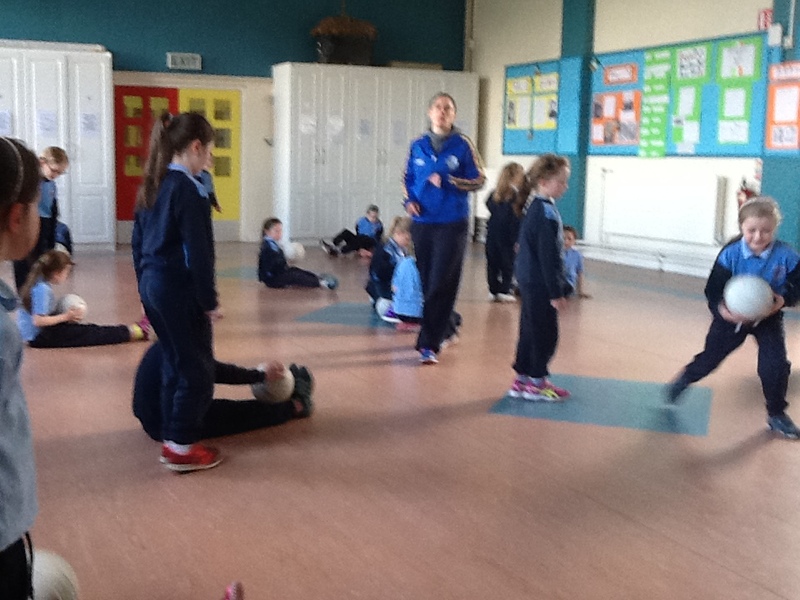 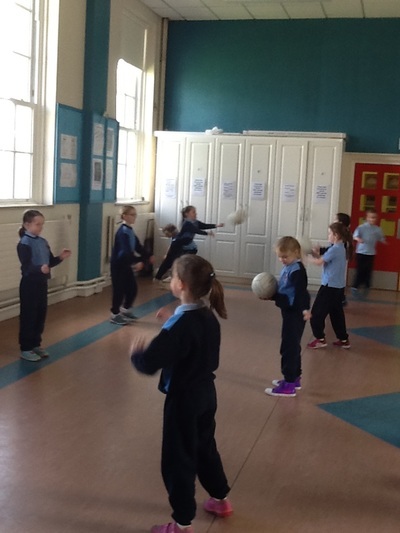 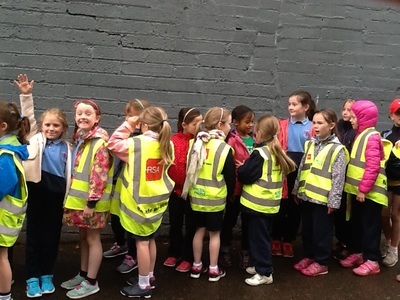 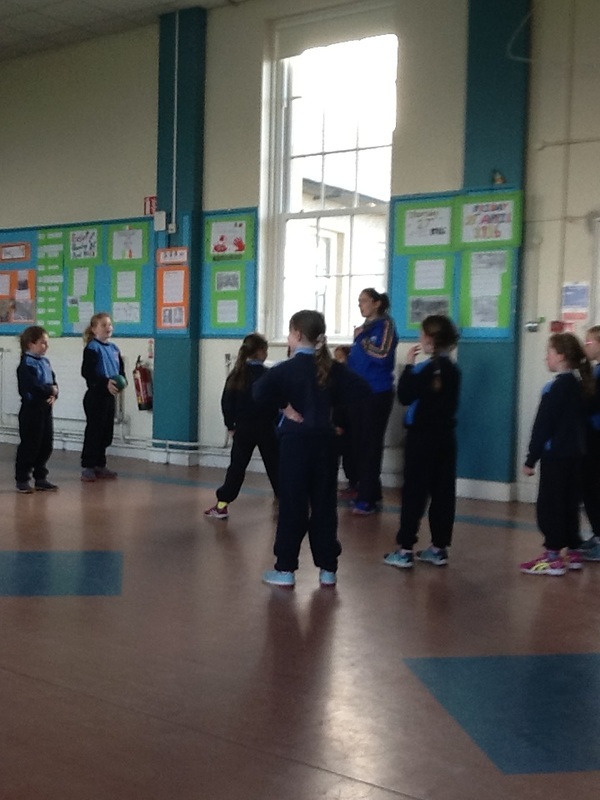 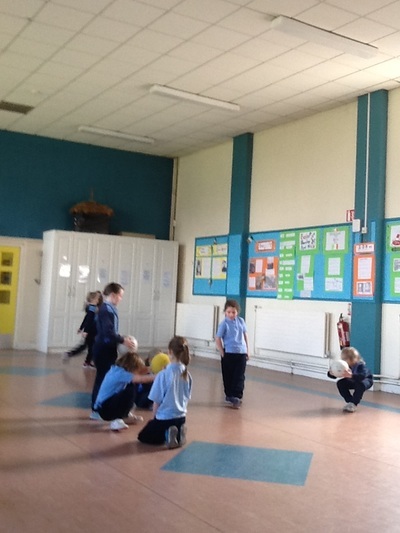 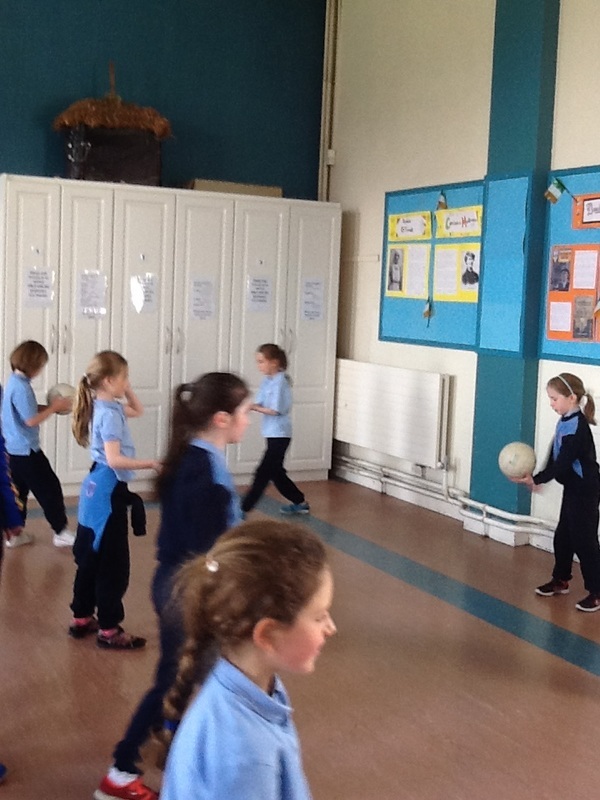 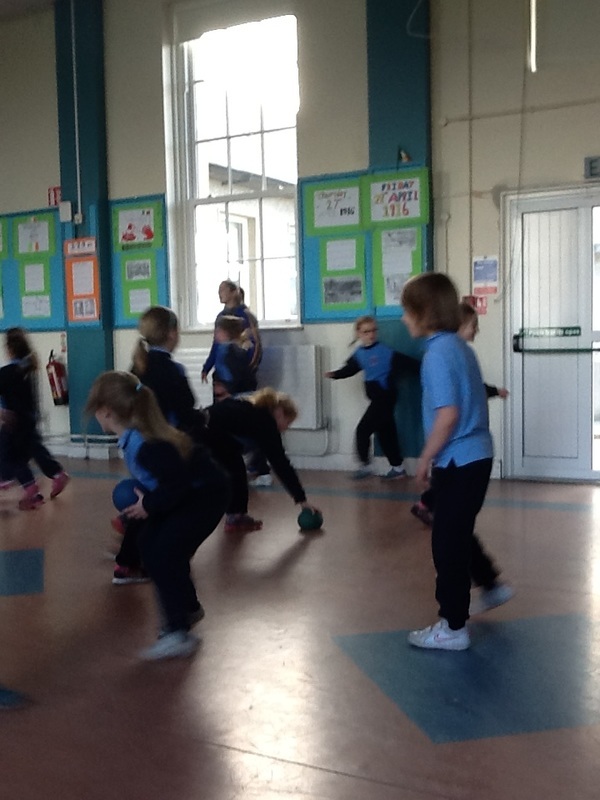 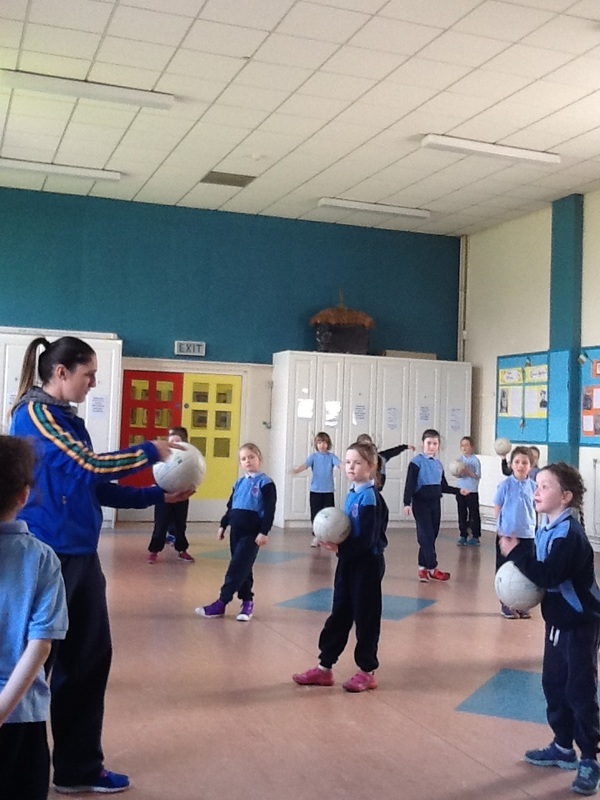 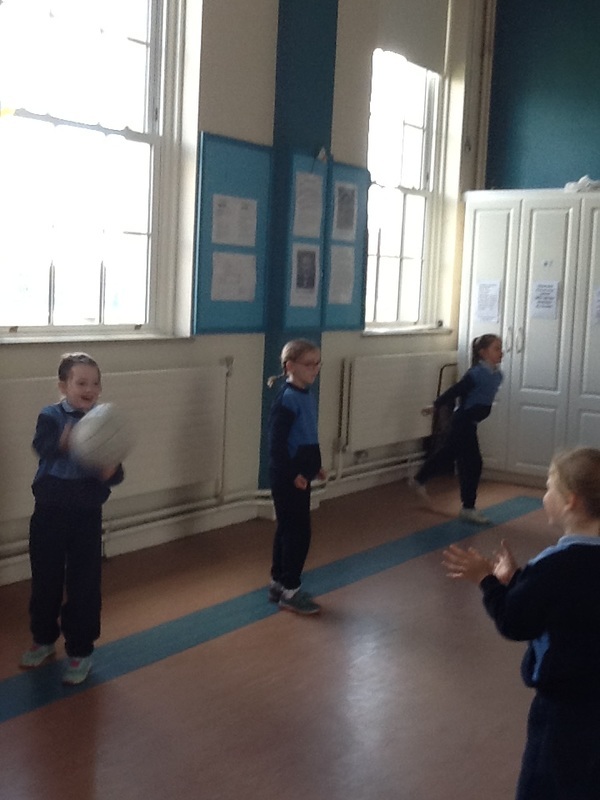 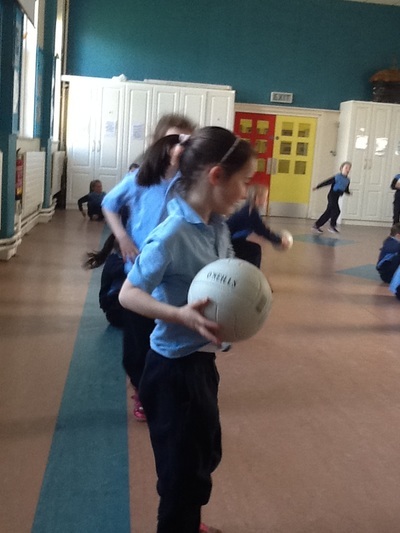 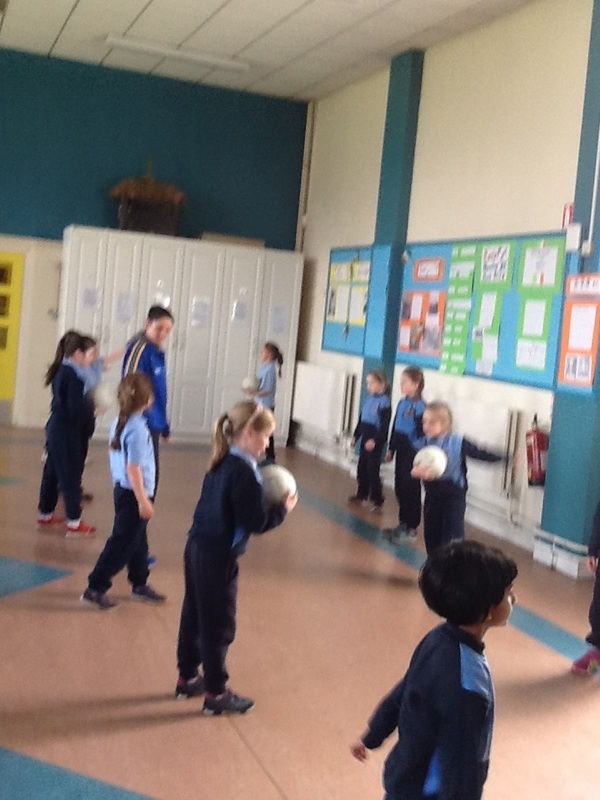 The girls in First class have started their Gaelic Football again with Rachel from Clanna Gael Gaelic Club. They have been learning lots of new skills, from kicking the ball to hand passes. 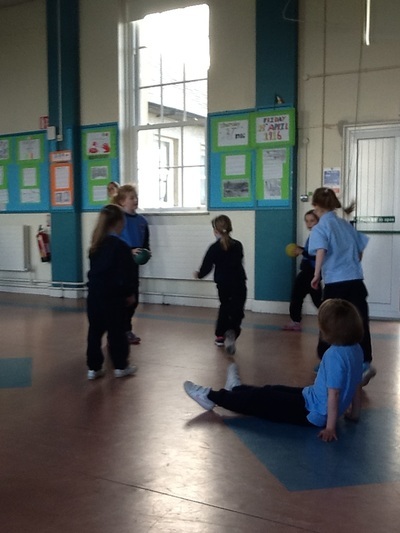 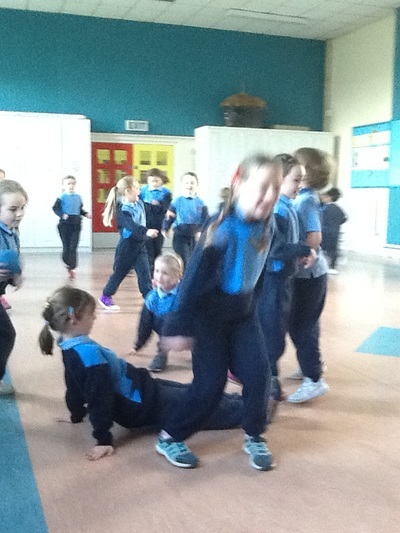 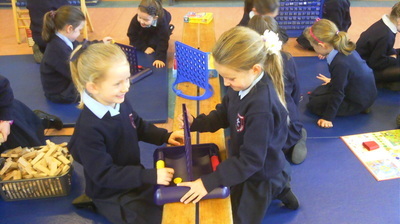 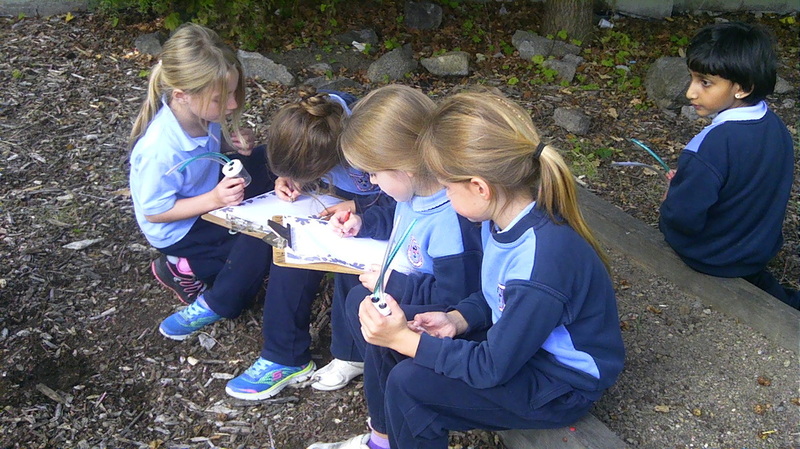 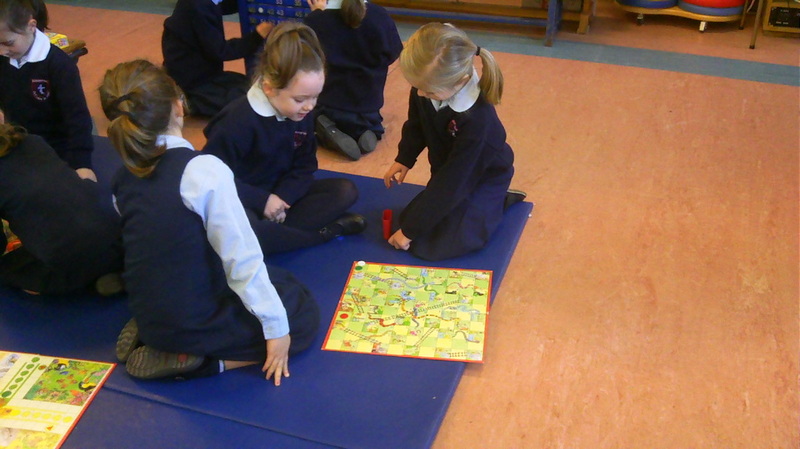 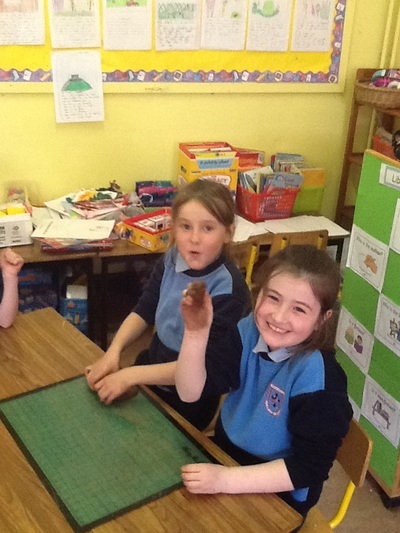 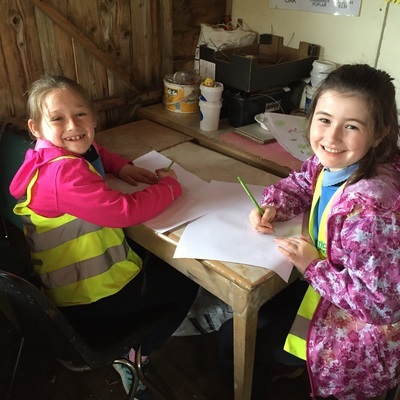 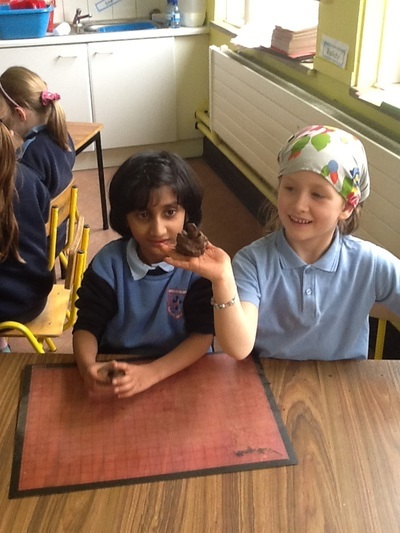 The girls are really enjoying playing Gaelic, as can be seen from the photographs. 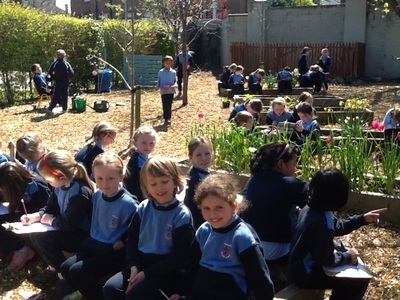 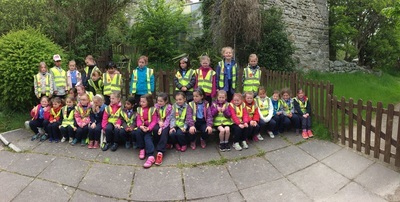 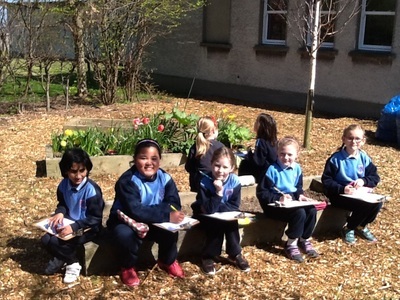 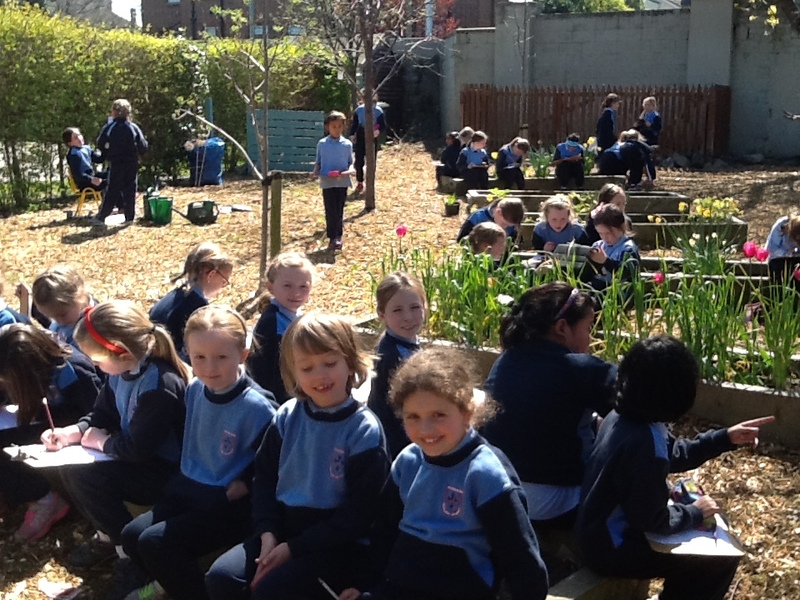 First class had a great day out in the School Garden. 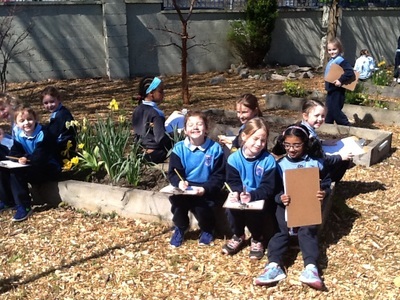 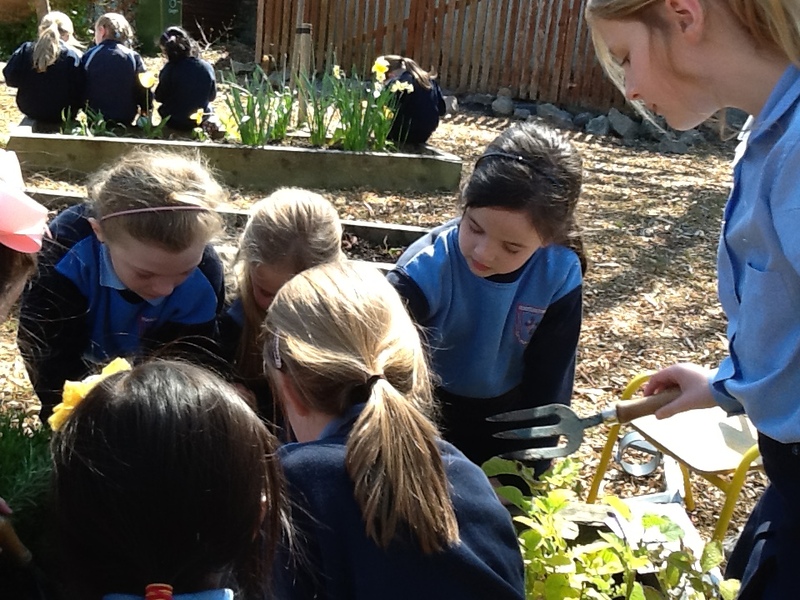 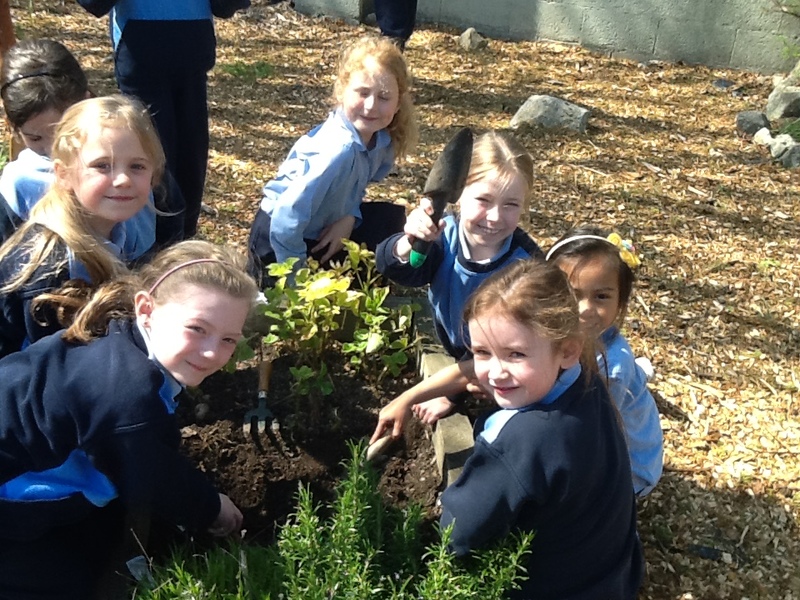 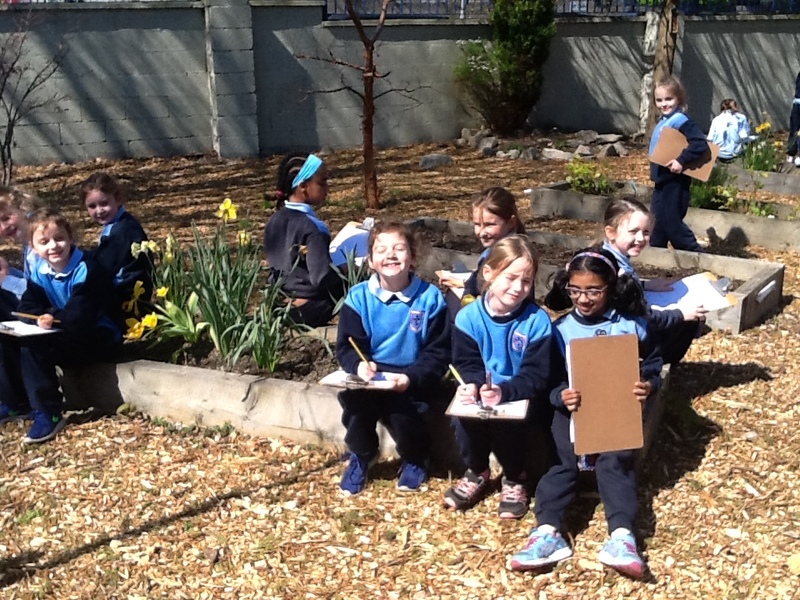 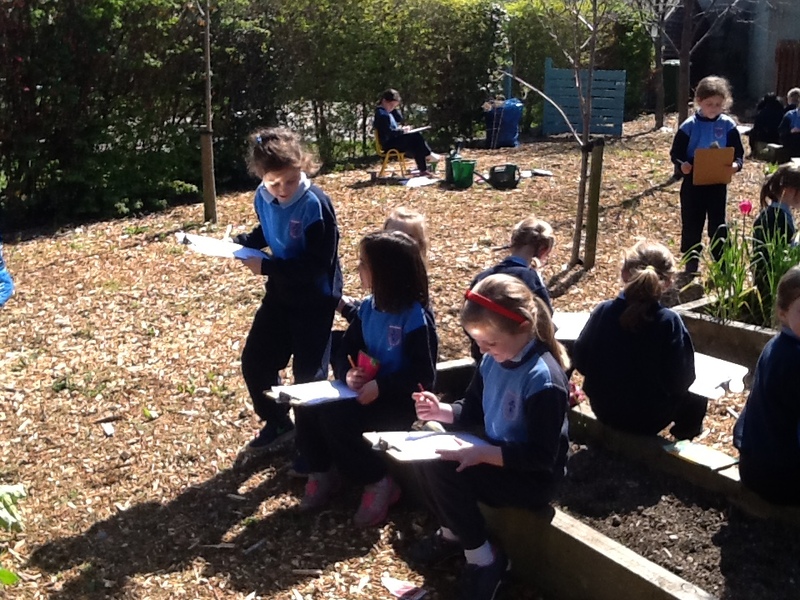 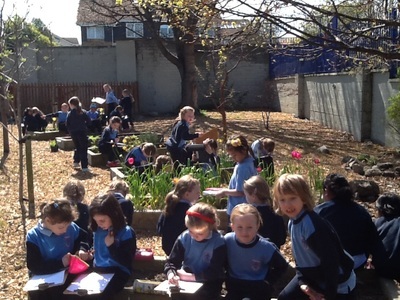 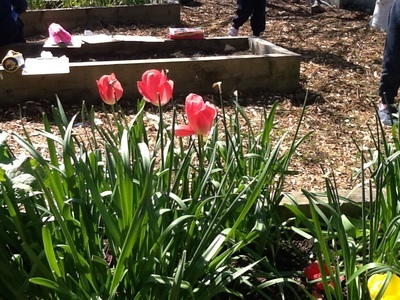 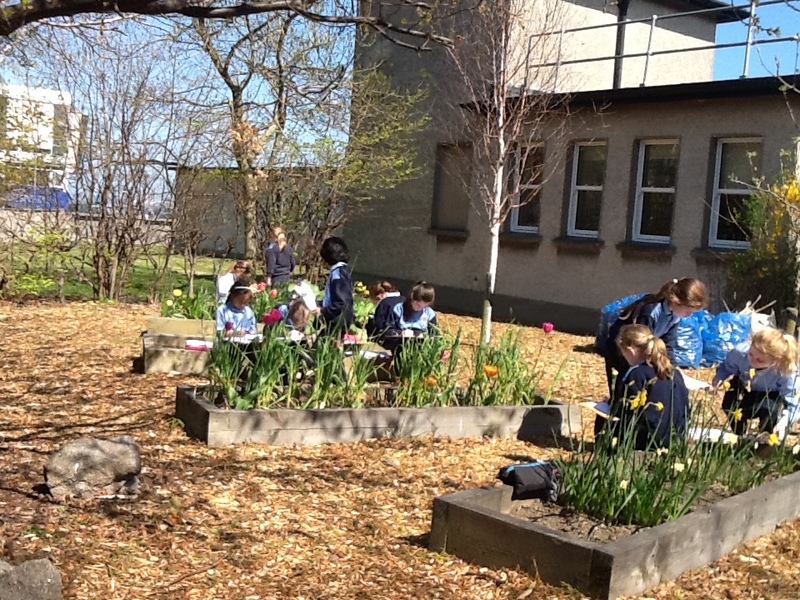 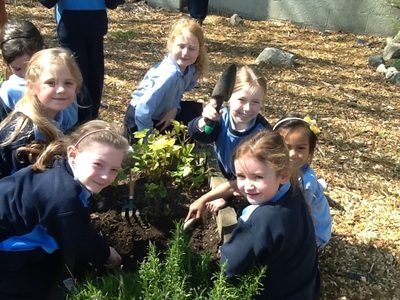 The sun was shining and we got to see lots of wonderful plants that are growing in the garden. We heard the birds singing and we even got to see some birds in the trees. 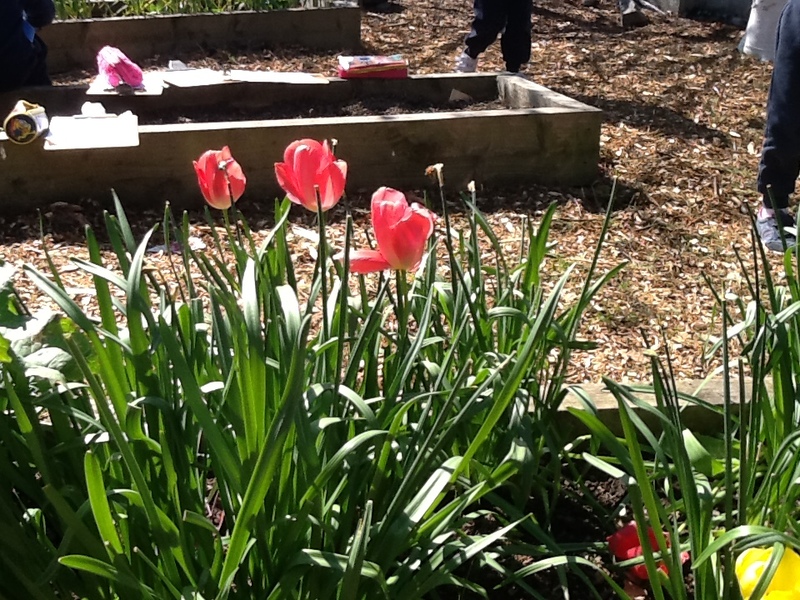 The school garden was lovely and tidying, so a big thank you to all the parents and children who helped to tidy up the garden a few weeks ago. 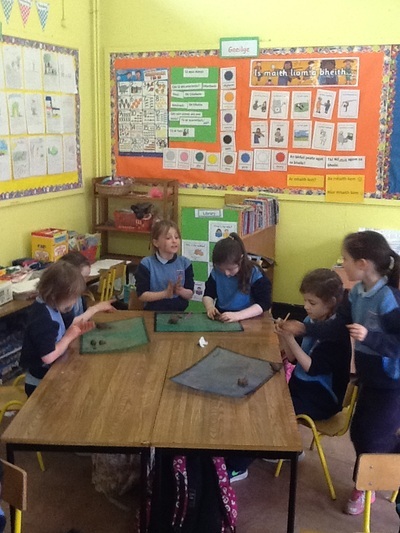 After exploring the garden,the class then got to work planting some seeds. 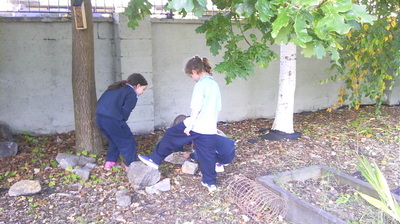 We are making a herb patch in the garden. We planted parsley, chives and basil. We used our trowels to dig into the soil. 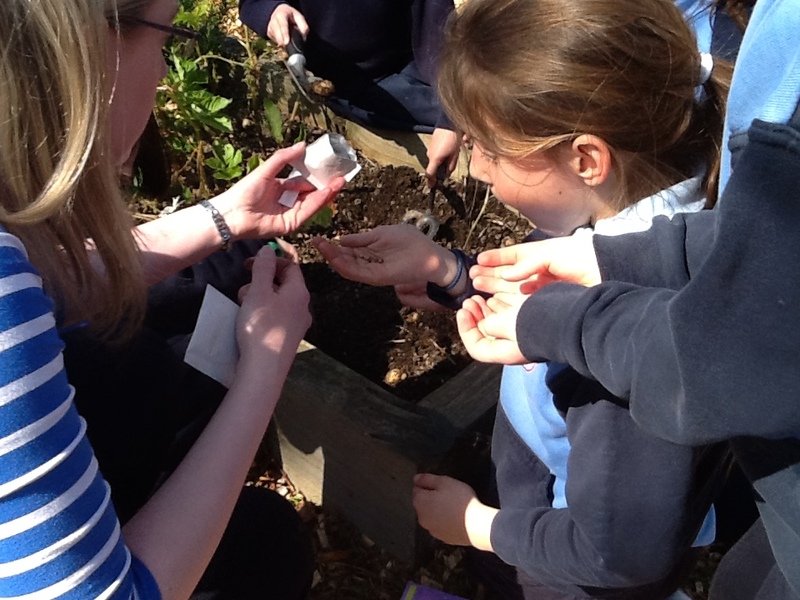 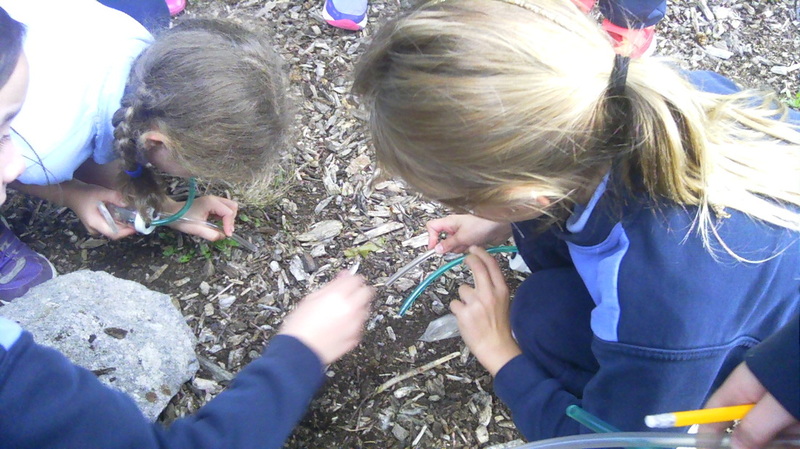 We then placed the seeds in and covered them with soil. 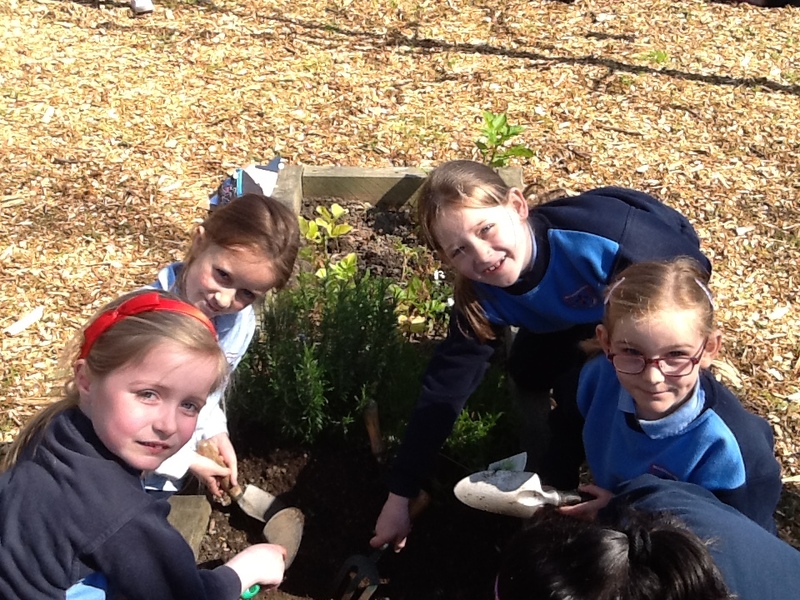 The plants were then watered.We hope that the weather will stay nice so that our herbs will grow. 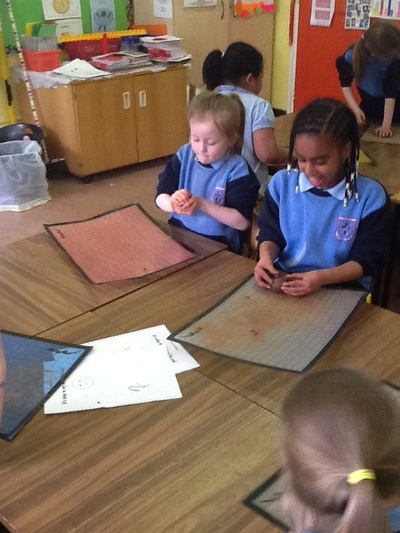 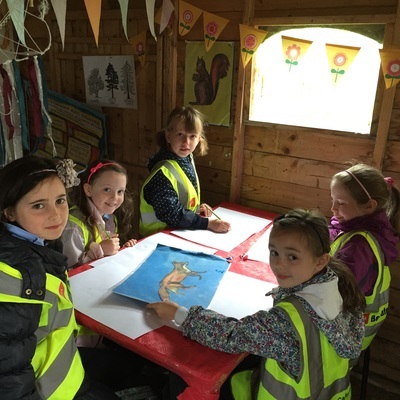 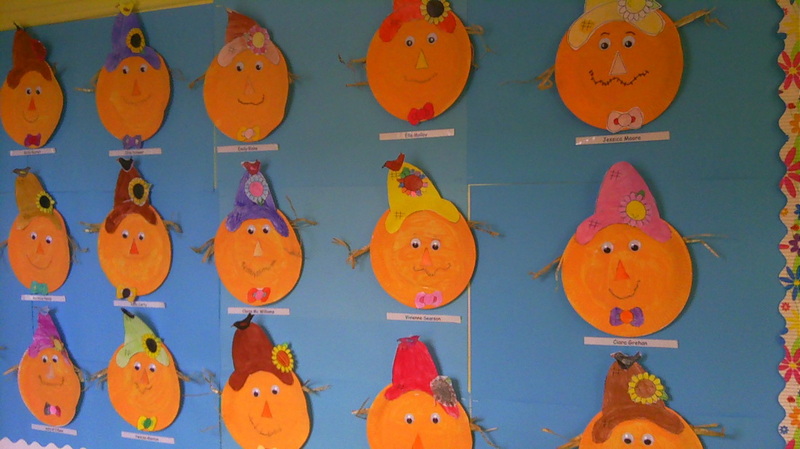 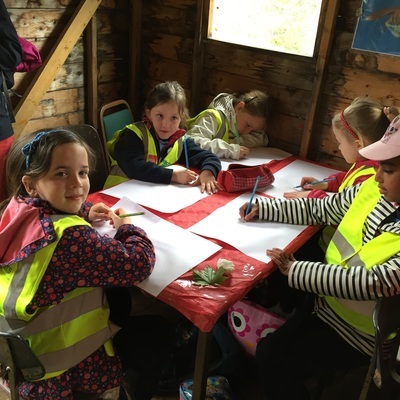 First class had great fun in their art class last week. 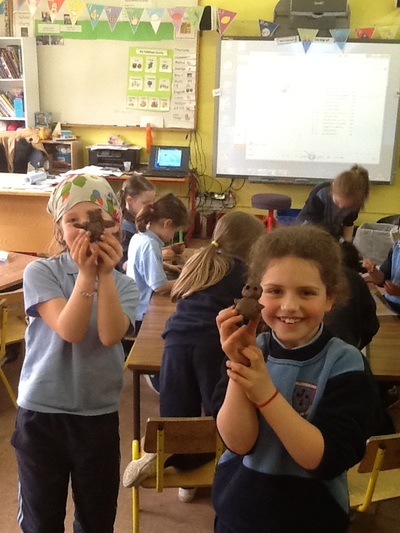 The girls we working with clay. 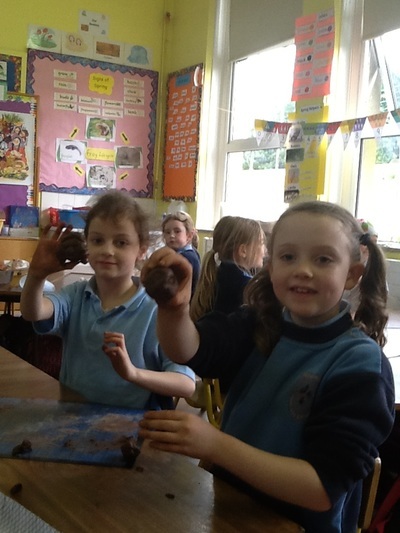 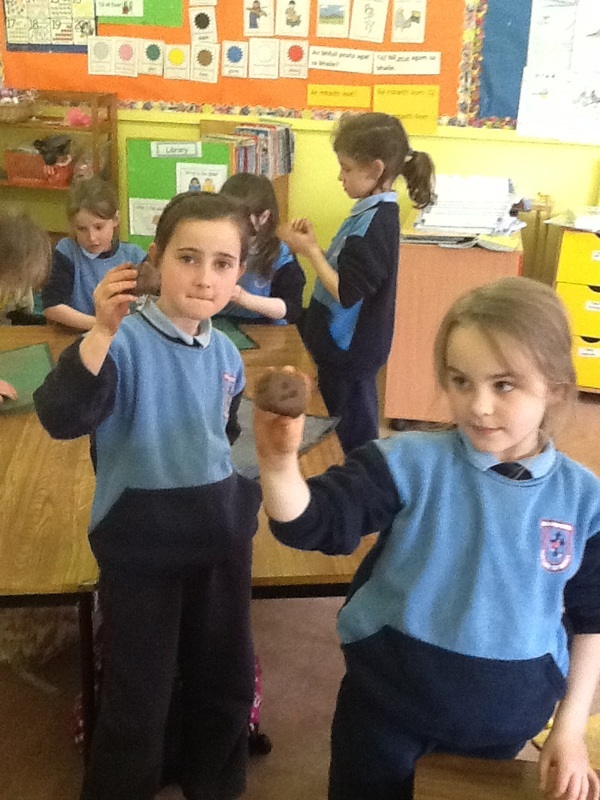 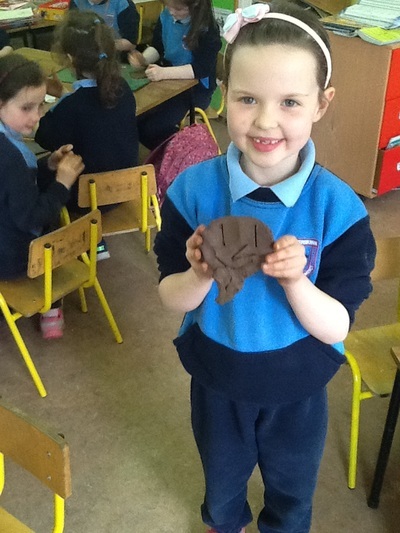 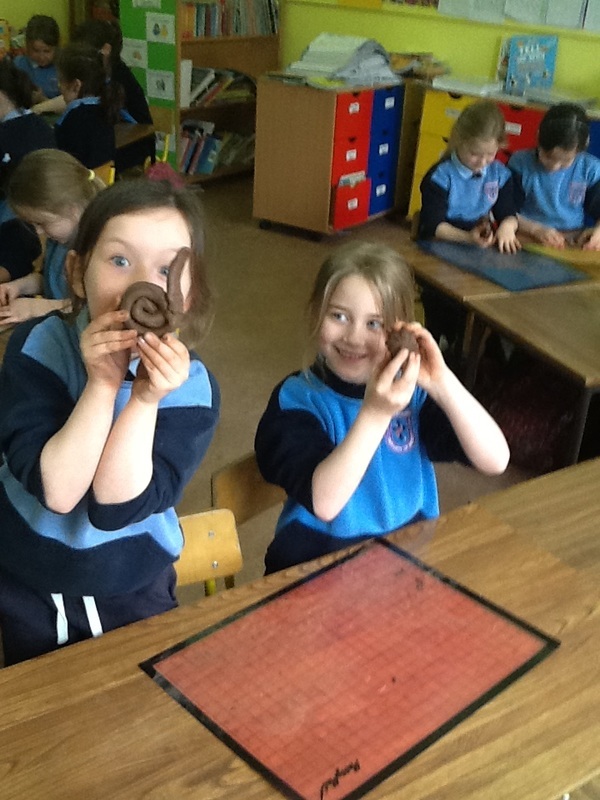 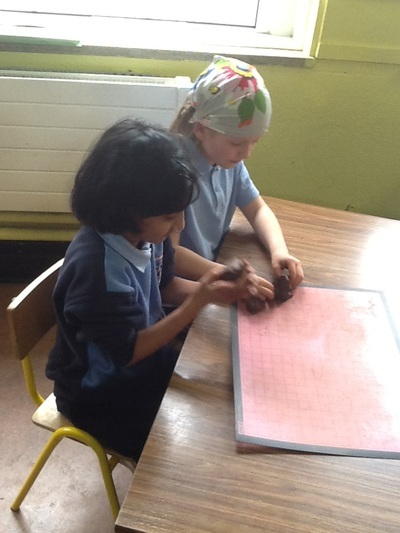 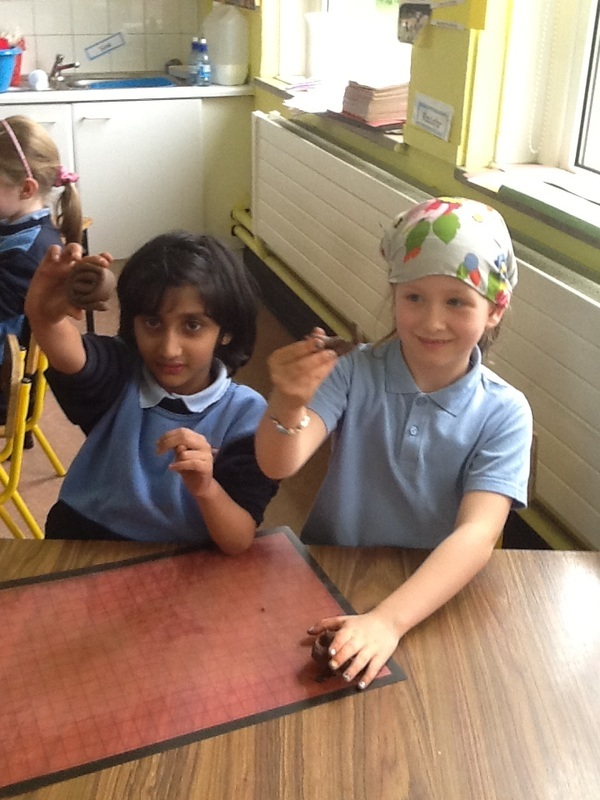 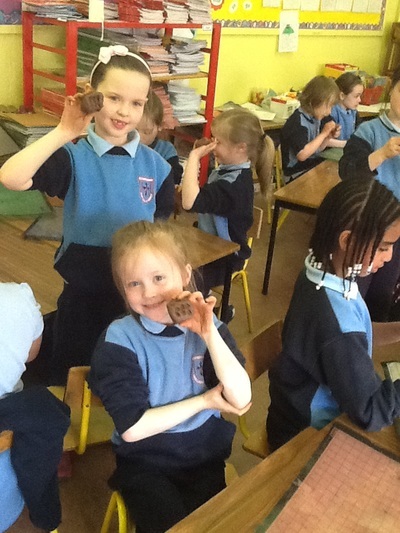 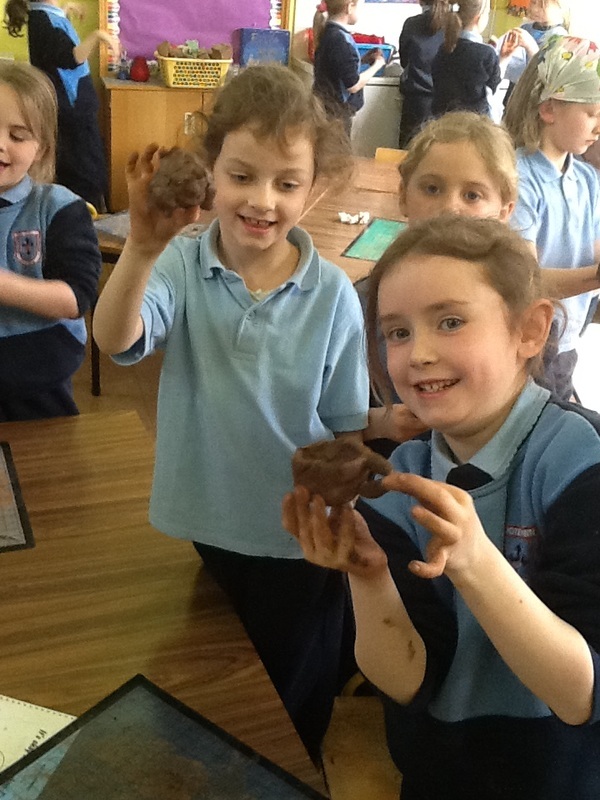 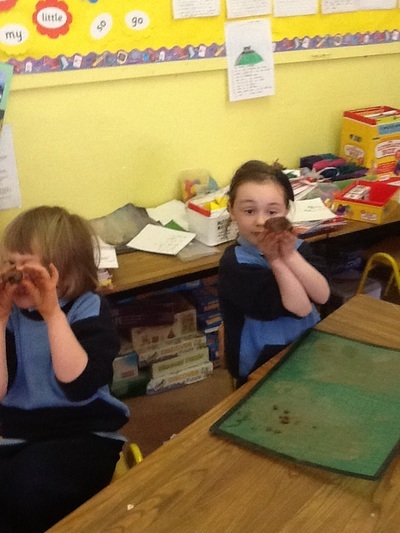 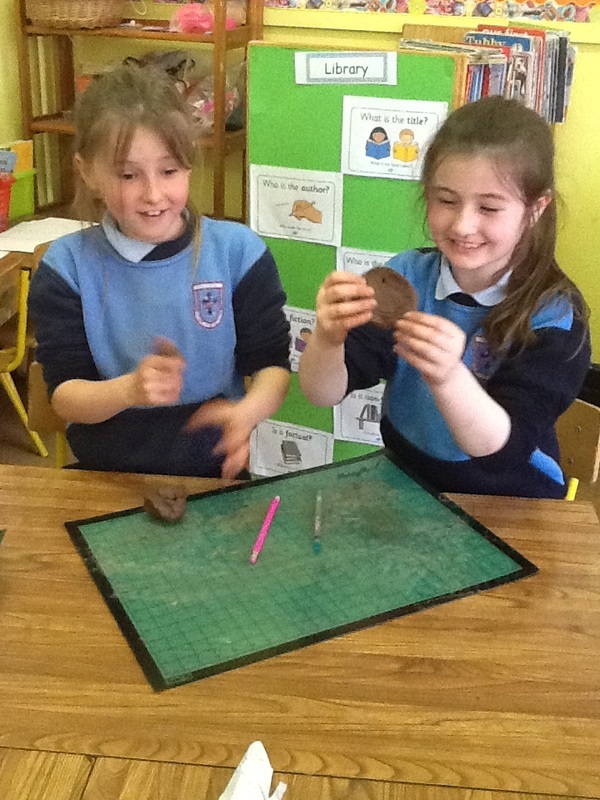 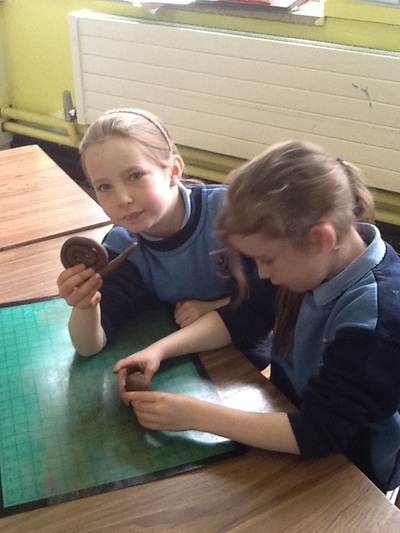 They experimented with their clay by rolling it, squeezing it and making it into different shapes. The girls made some snakes and snails. 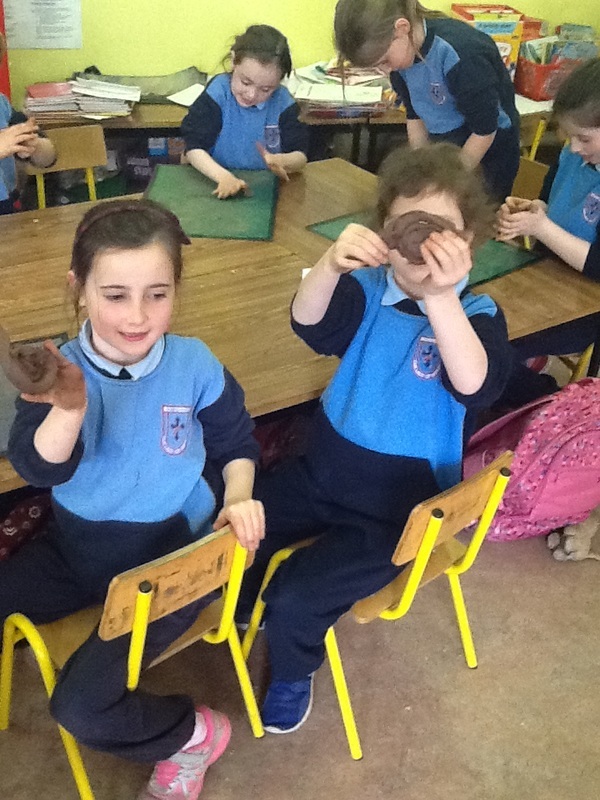 After this the girls had a chance to make different items with the clay, The girls will work with the clay again this week. 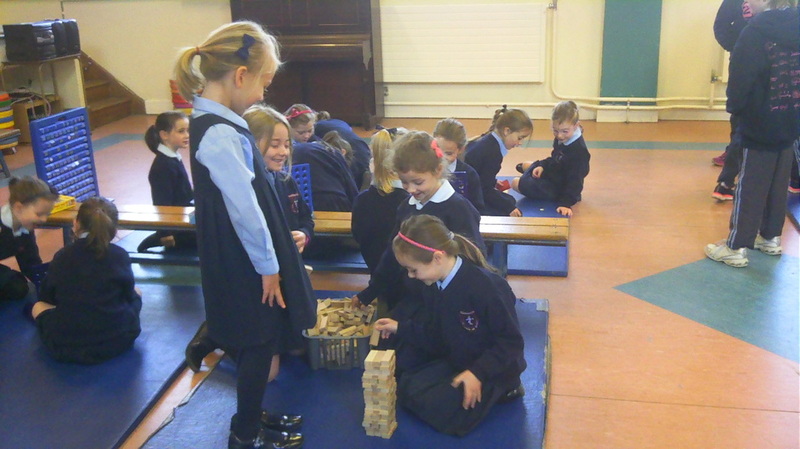 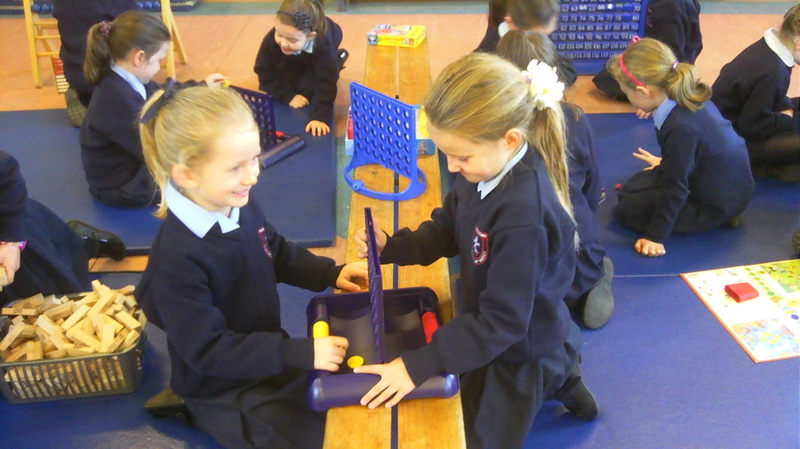 Maths week commenced with fun in the hall playing a variety of Maths games including Jenga, snakes and ladders, Connect Four and of course multiple Maths games on the iPads! We even had the pleasure of both Hanna Berhanu and Eva Wood's dad coming in to our class to teach us to play some new Maths games! 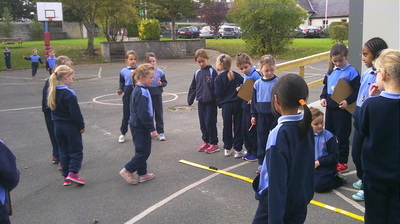 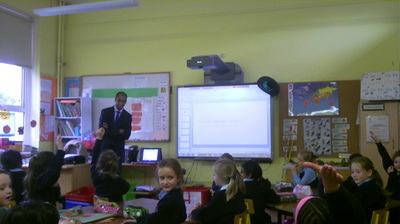 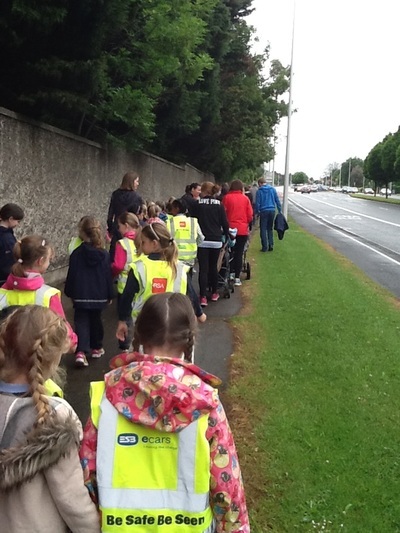 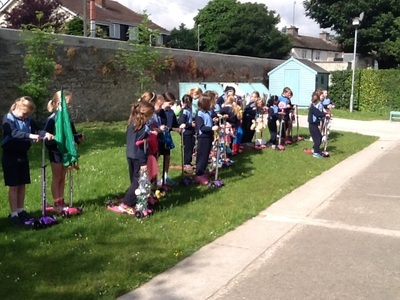 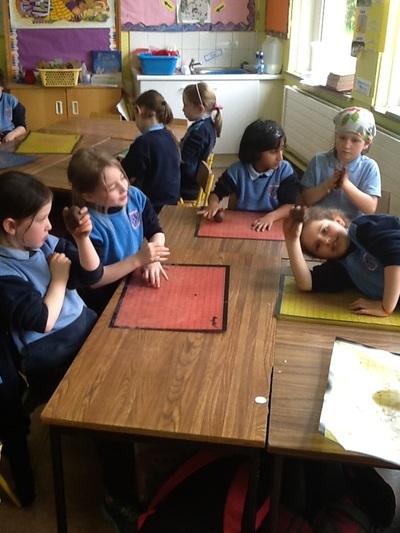 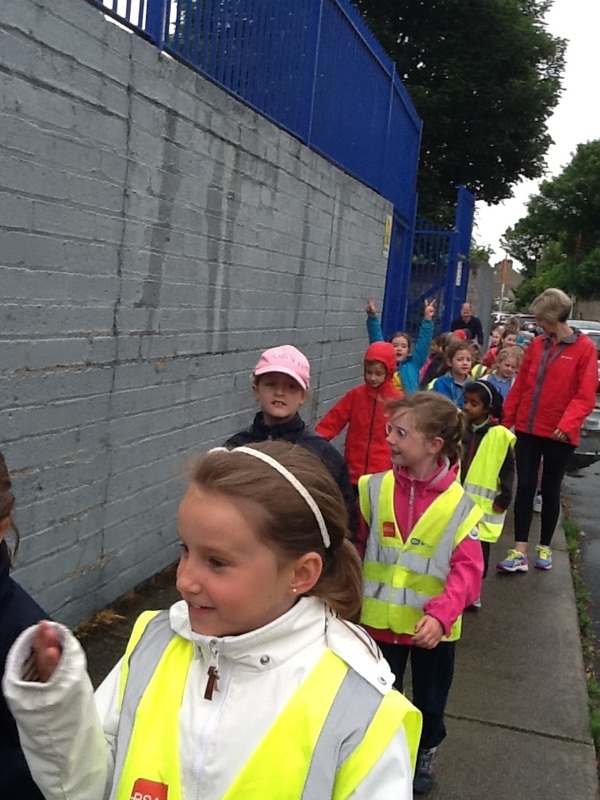 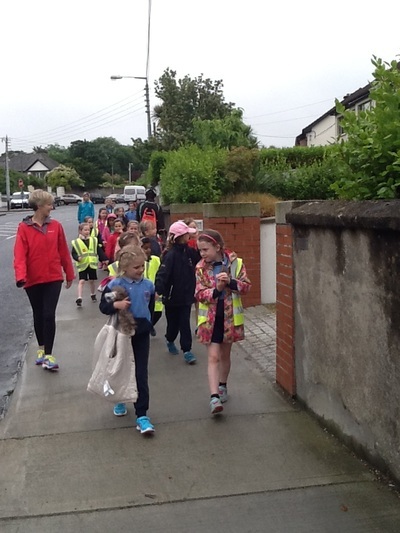 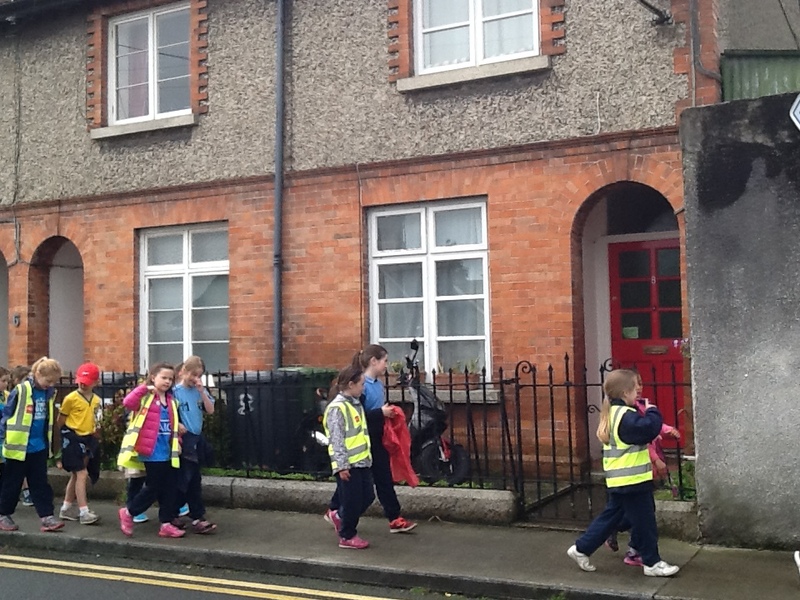 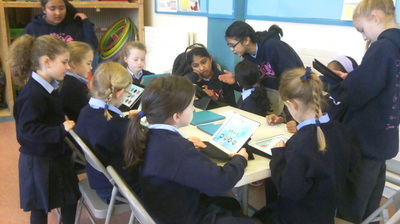 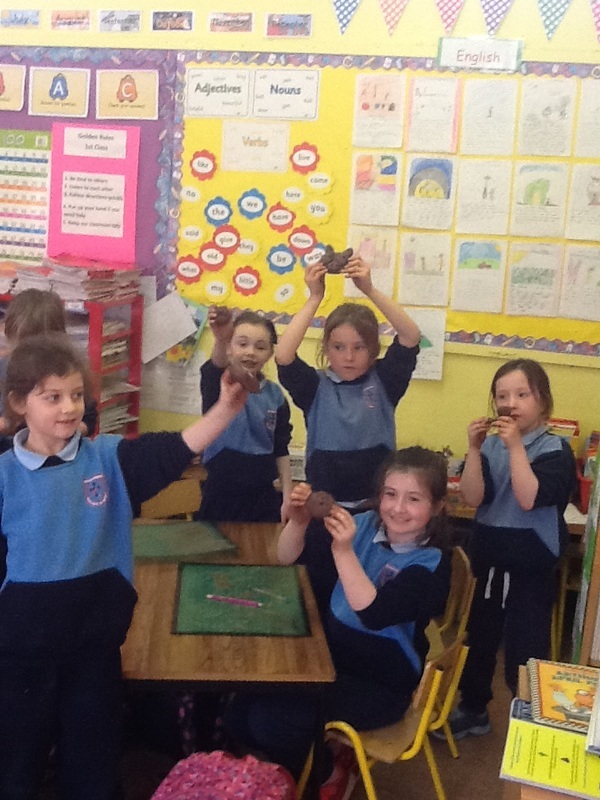 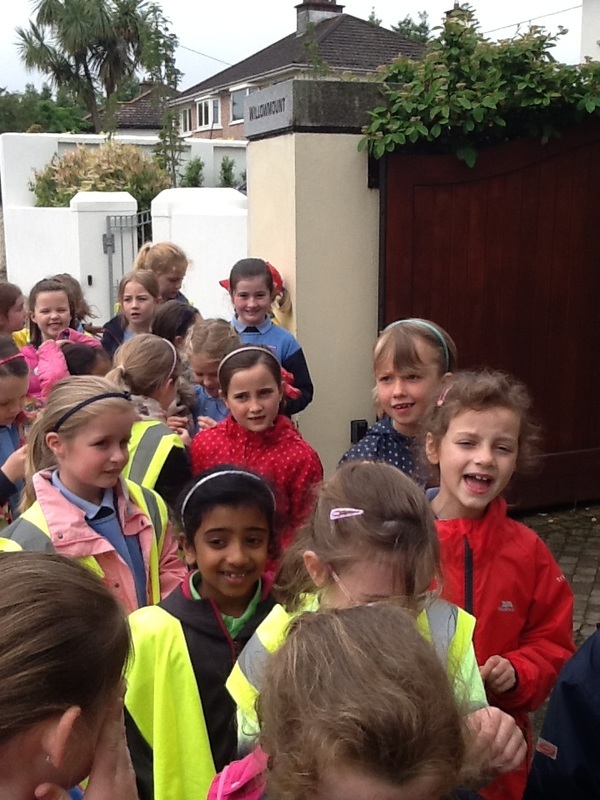 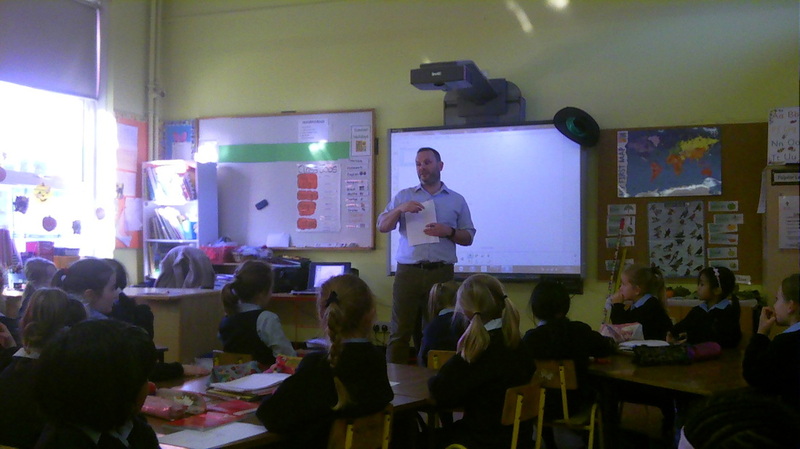 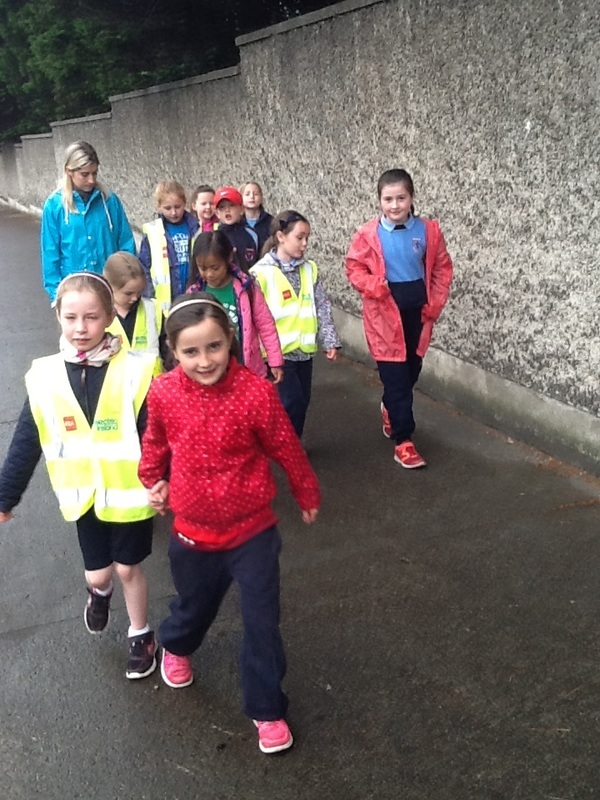 Finally on the Friday we partook in an exciting Maths Trail organised by Mrs. Henry for each class. 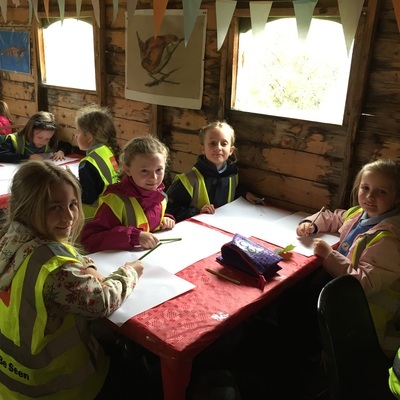 The girls had great fun counting a variety of objects such as window panes, flowers painted on walls etc. 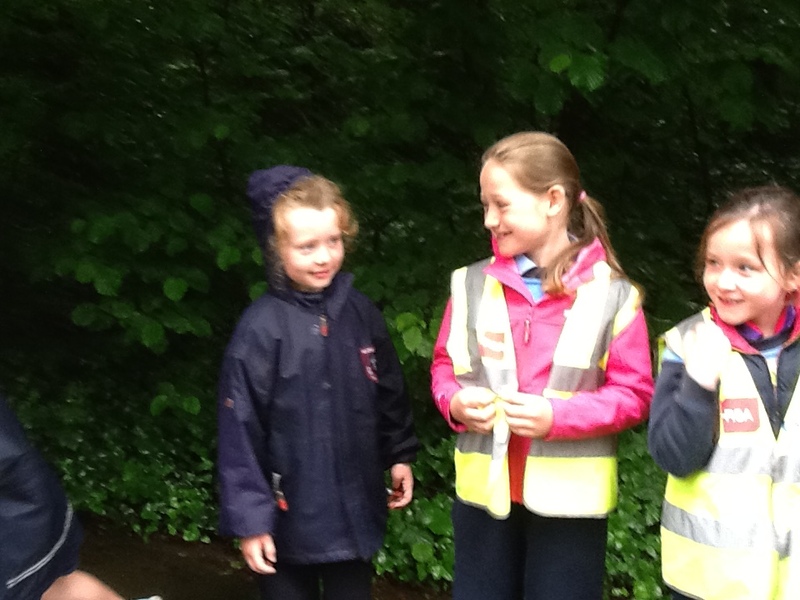 in their groups. 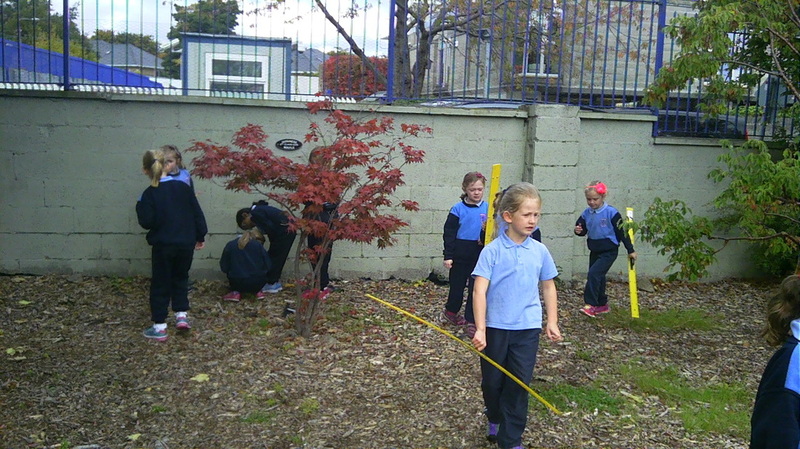 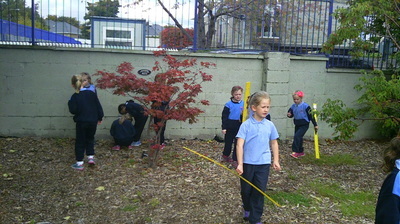 This was topped off by measuring the length of the Senior Yard by using ourselves! 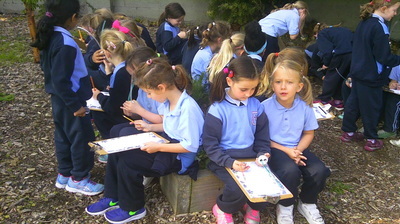 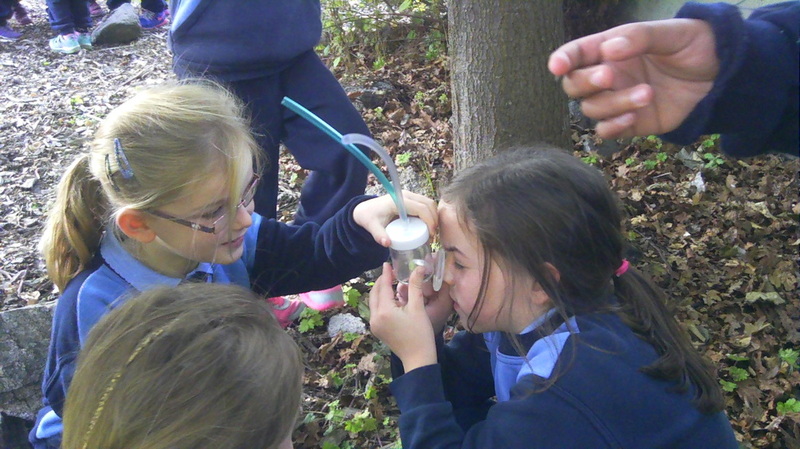 In October we were fortunate enough to have a beautiful day to go out and see how many mini-beasts we could find. 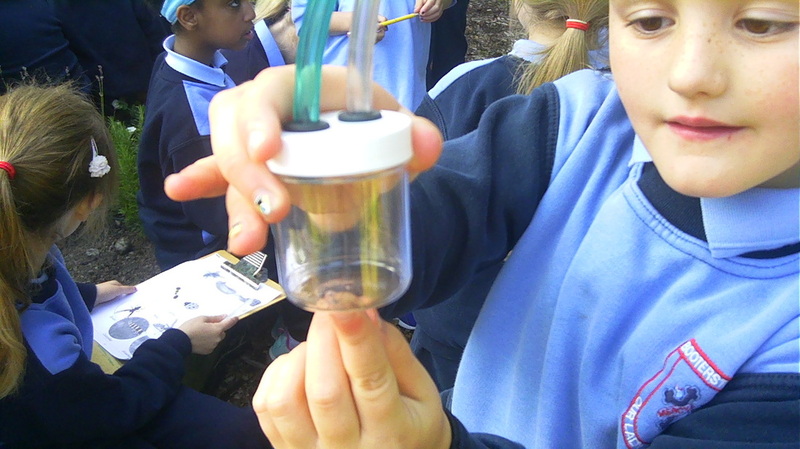 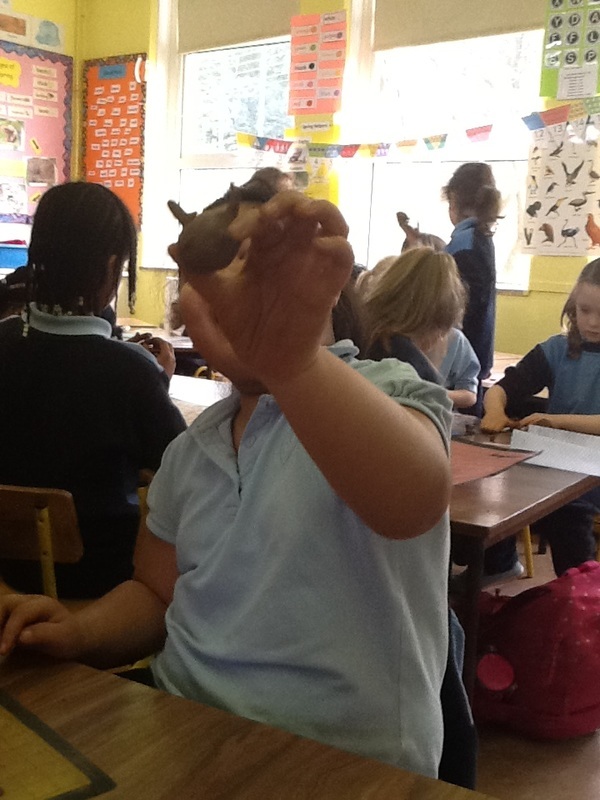 We used pooters to collect and observe these, analysing how many body parts, legs, tentacles etc each mini-beast had. We then released them back into the wild of course!